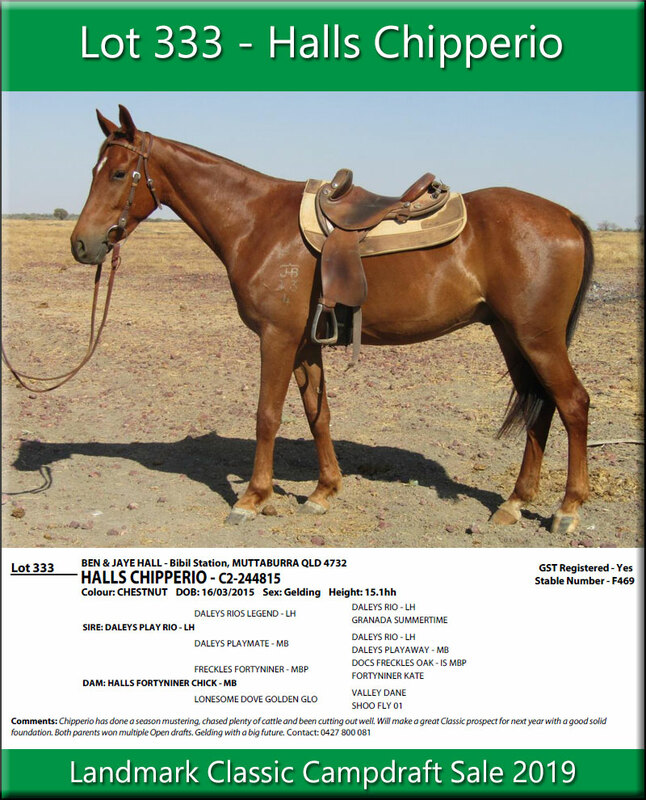 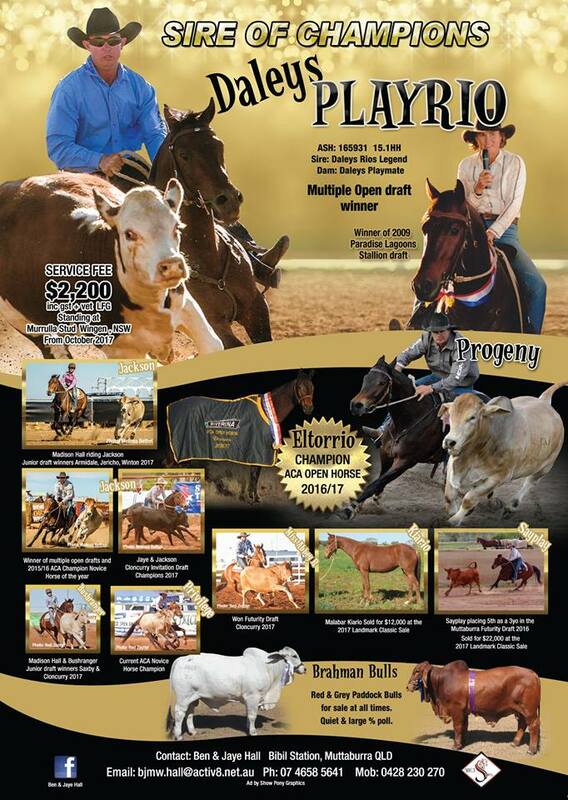 Well respected northern Australian campdraft genetics now available for ALL Australia. 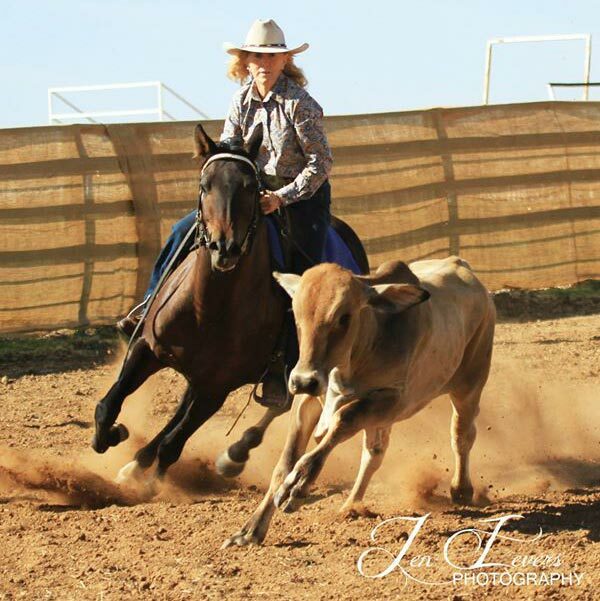 Photo by Purple Fairy Imagery. 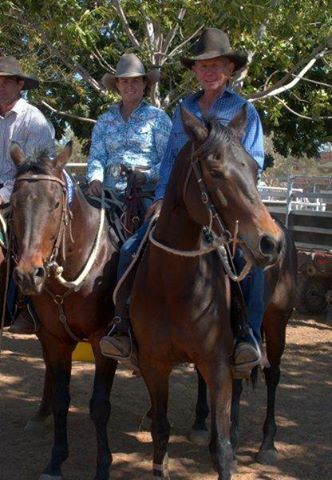 Daley's Playrio & Ben Hall, Normanton 2014. 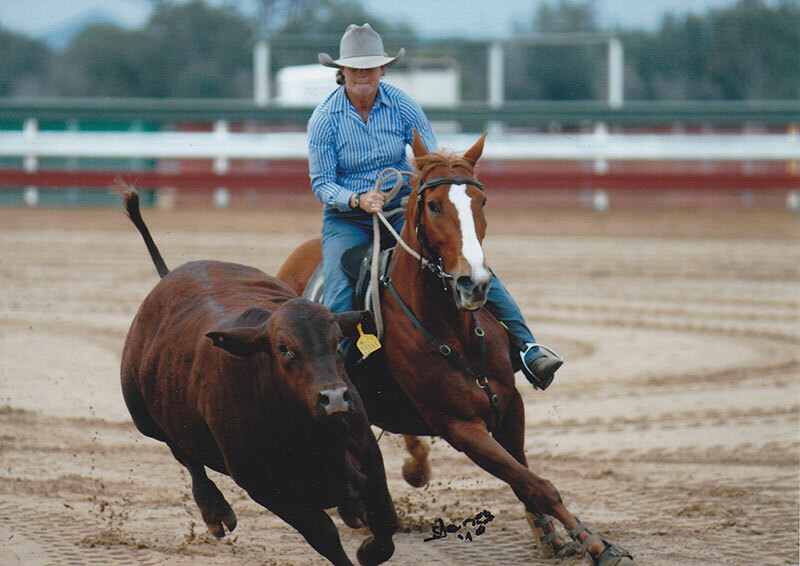 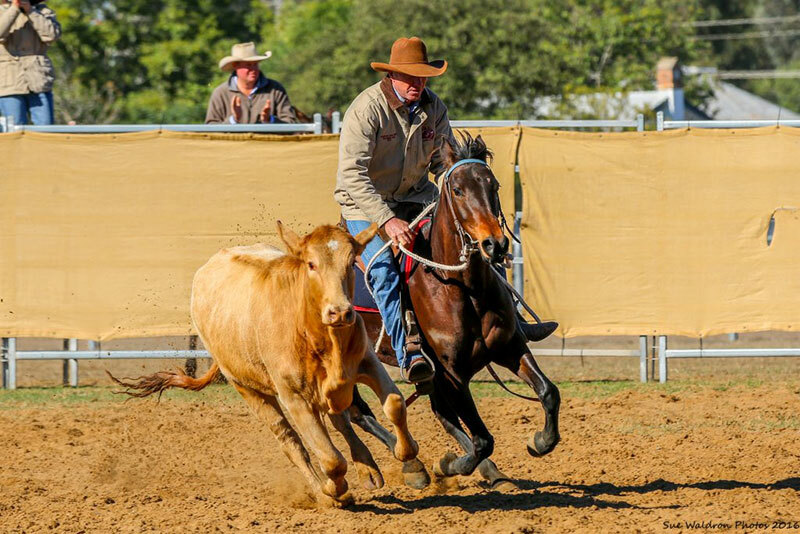 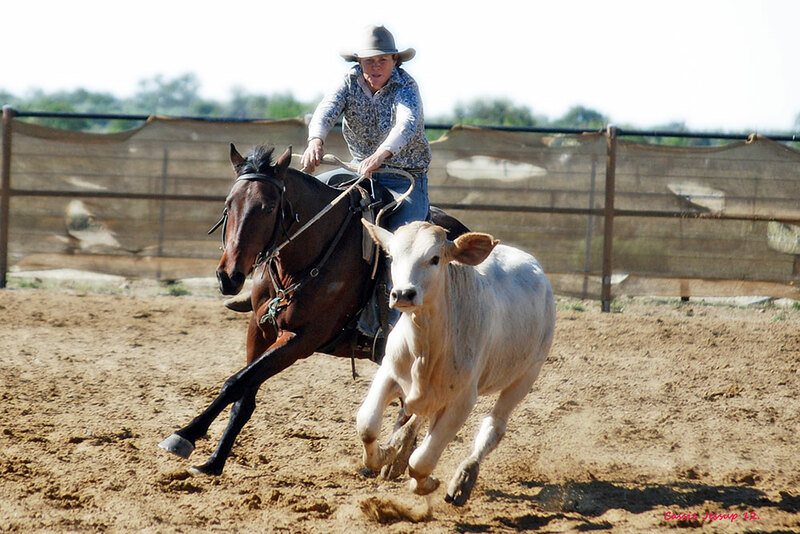 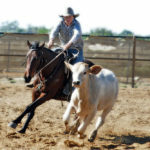 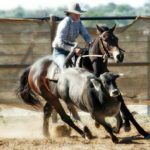 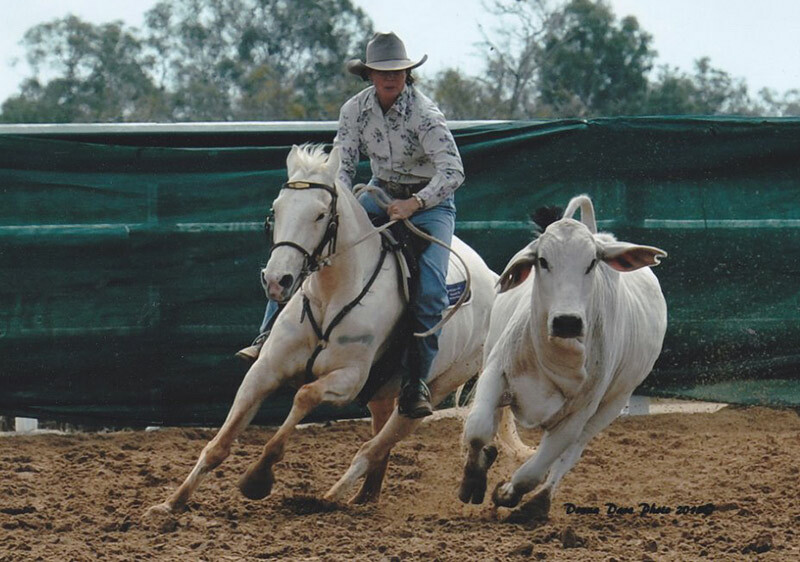 “We breed and sell Brahman Bulls, have a crossbred commercial cattle herd, and breed, draft and sell our own horses. 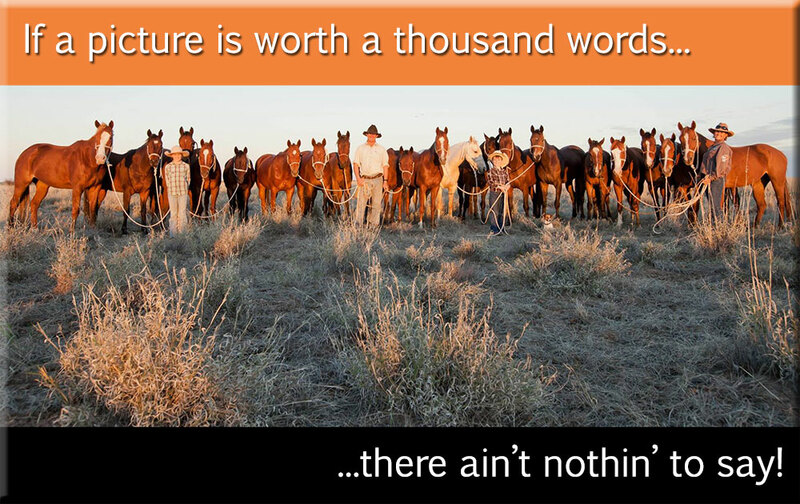 We believe in what we breed, and they must prove themselves to us. 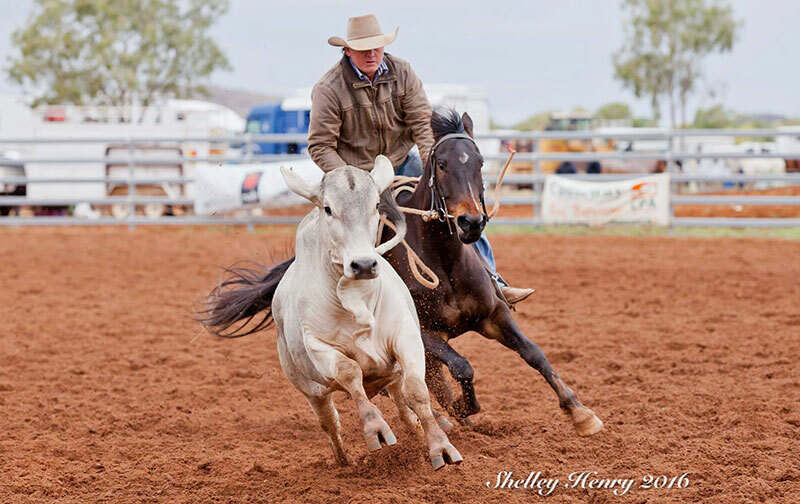 ~ Ben & Jaye Hall. 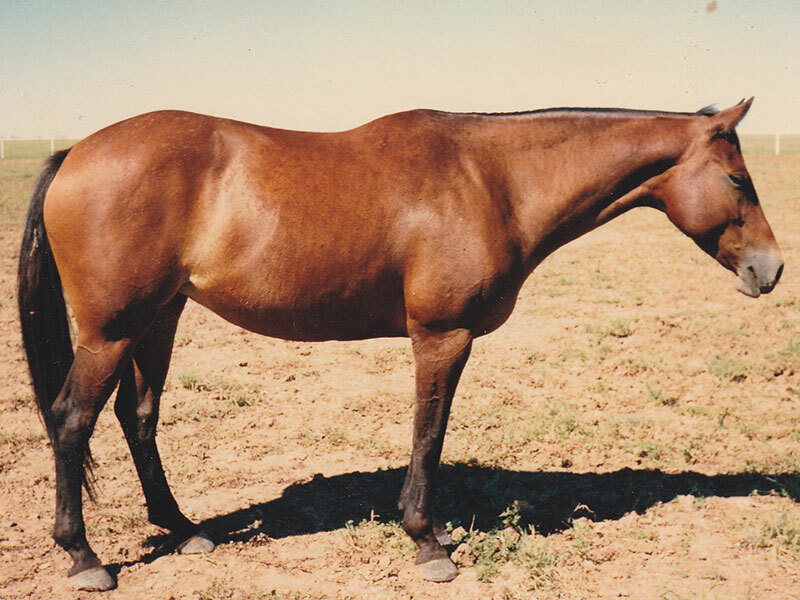 Daleys Rio, 1988, aged 21. 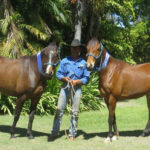 Playrio was born in the drought of 2010 at Caiwarra Station in NW Qld. 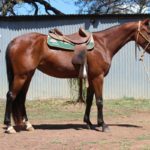 We were looking for a colt to keep our “Rio” line going and we had Playrio and one other bay colt both from entirely different mare lines. 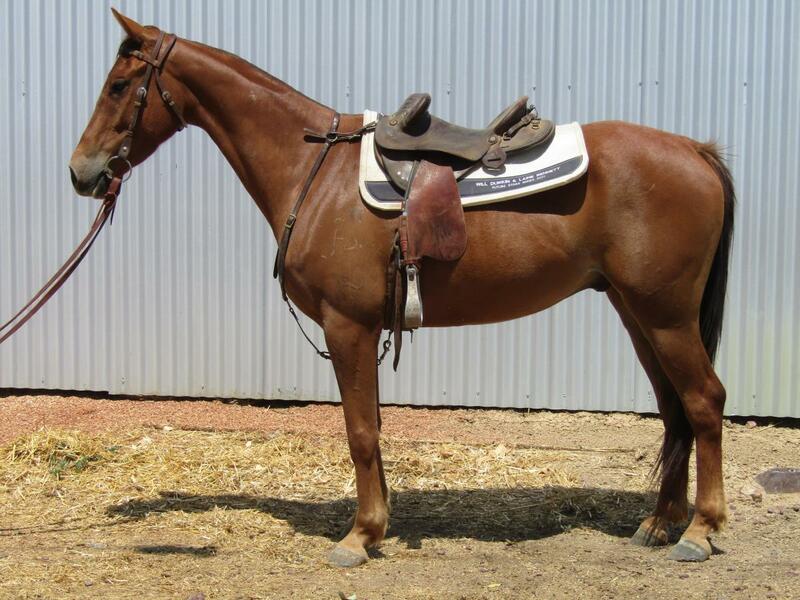 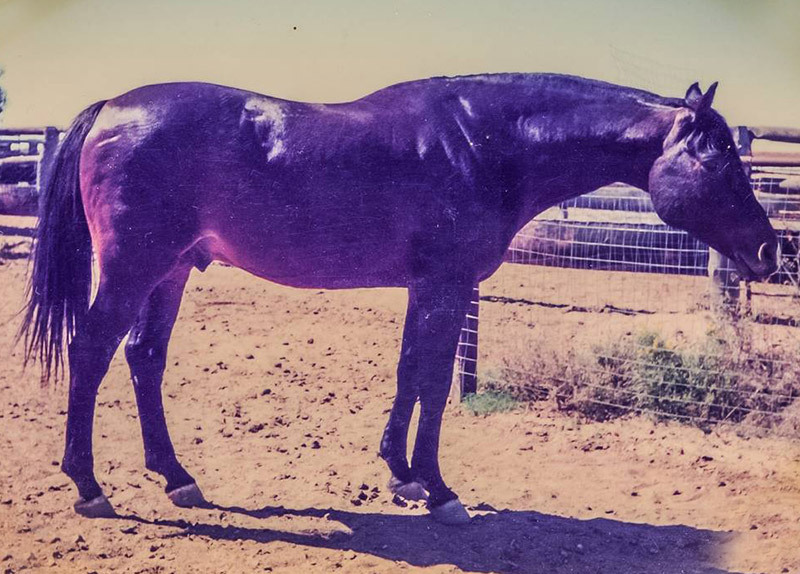 The old original Daleys Rio (Playrio’s grandsire) was a mixture of Thoroughbred, Stockhorse and Imp Quarter Horse. 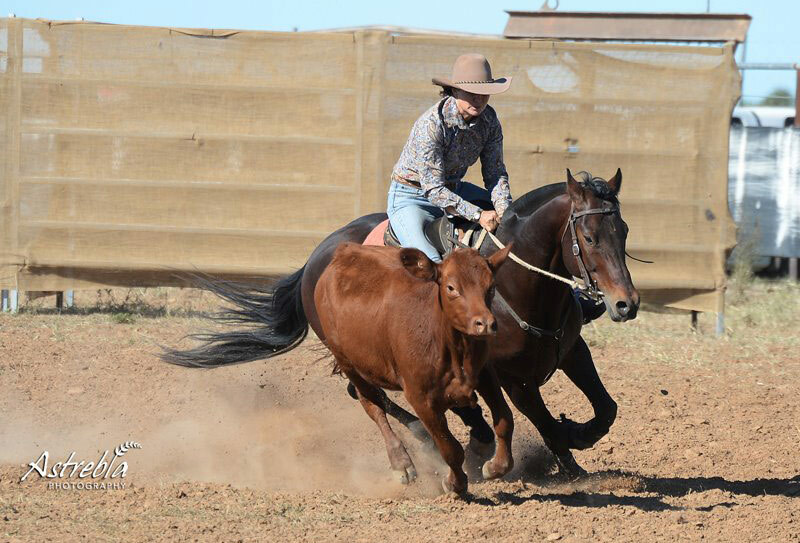 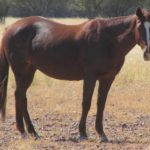 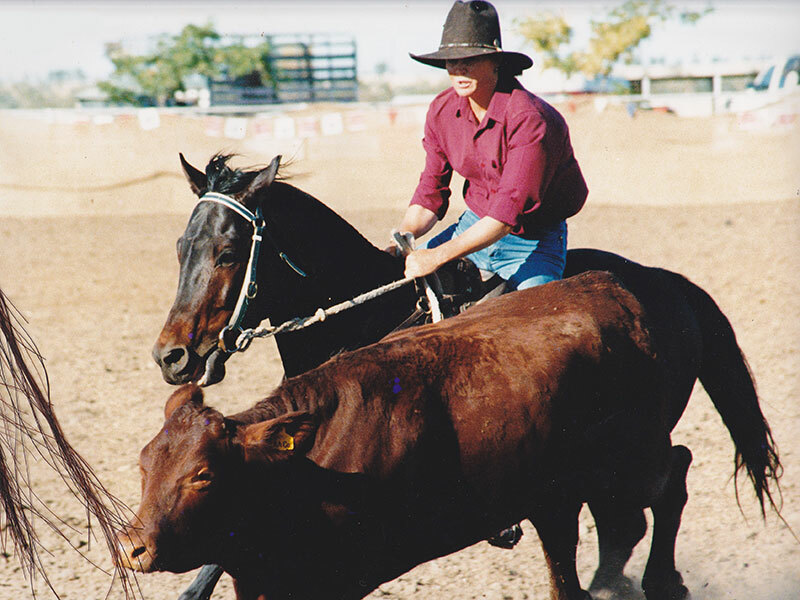 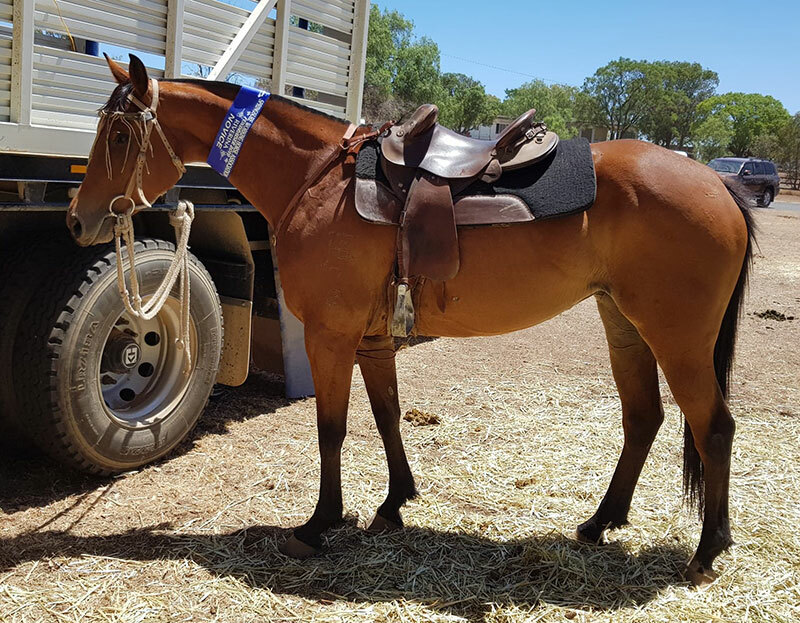 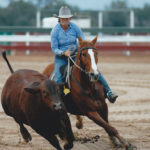 His dam, the Thoroughbred mare Joy had been bought by my Dad from a drover for a considerable amount when she was seen doing brilliant work cutting out bullocks on the flat on a property north of Julia Creek. 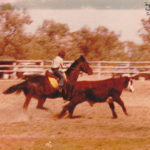 Dads brother Ken Daley was managing Canobie at this time and the resident stallion there was by the Imported QH stallion, Jackeroo, so Joy was bred to him and the resulting brown colt was Rio. 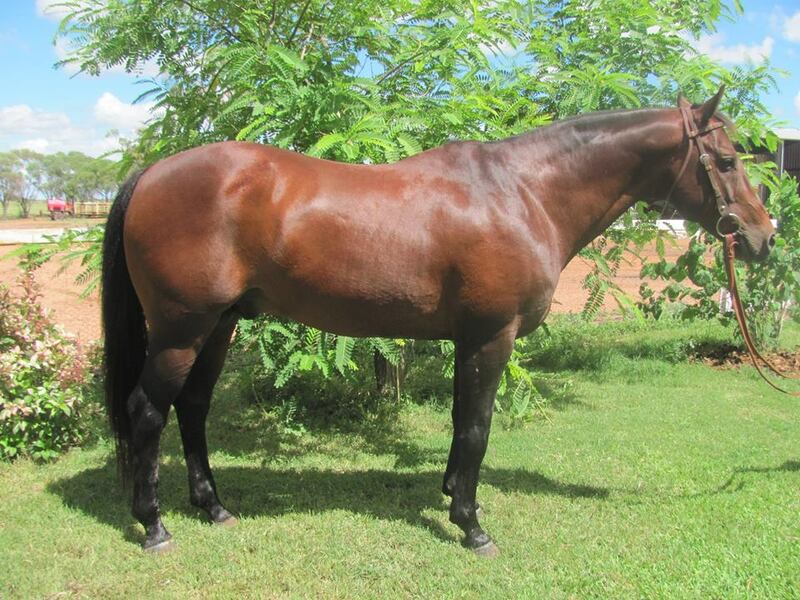 He had the agility of a stockhorse, the speed of a TB and the stocksense of a QH. 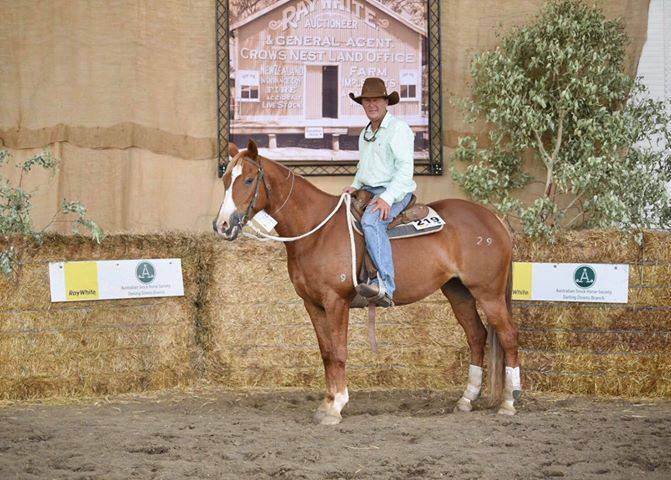 At 15.3hh and with a beautiful nature, Dad won over 70 Open drafts on him, Mum 2 ACA Lady Rider Titles and us kids won Juniors on him. 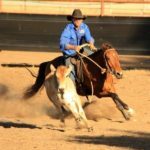 He picked up, bulldogged, jumped, hacked, barrel raced..he did the lot. 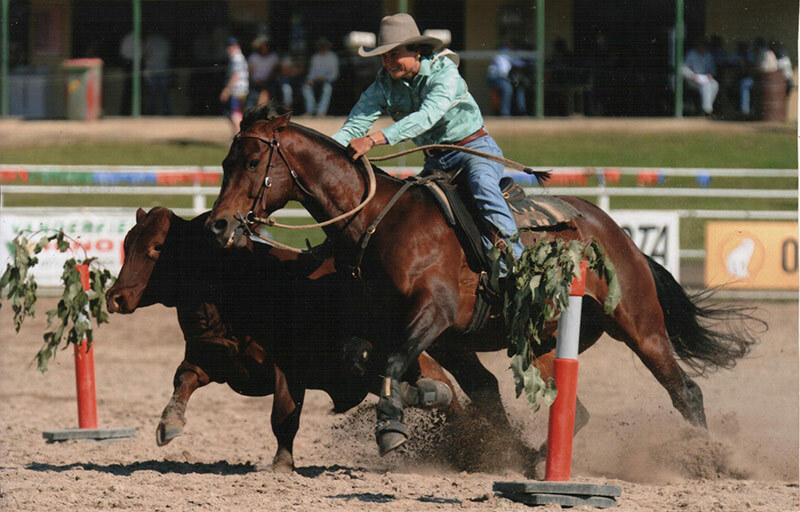 You could pretty well say we were raised on Rio and his progeny earned him 3 ACA Sire Progeny Awards. 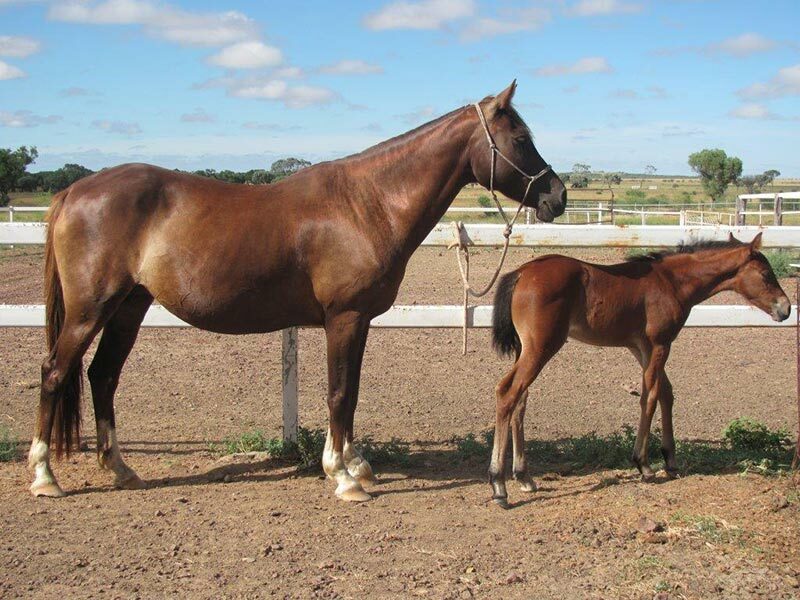 We had retained a black colt by Rio called Rio’s Legend who very early in his life broke his leg leaving us with very few progeny by him…Scenario, Remenisce, Levi, Special Request, Rio Grande and Playrio. 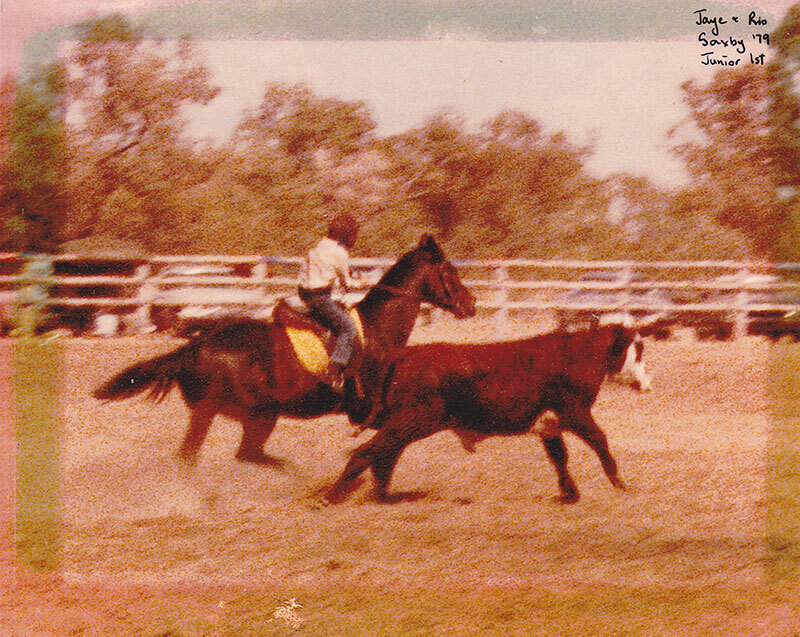 So we had a decision to make on 2 colts as to which one to keep and even thought we really liked Rio Grande, Playrio was probably a little more practical – he had better bone and doing ability and he had a very smart, inquisitive but quiet nature and once we broke him in, he was so soft and he was like an old horse to ride in no time. 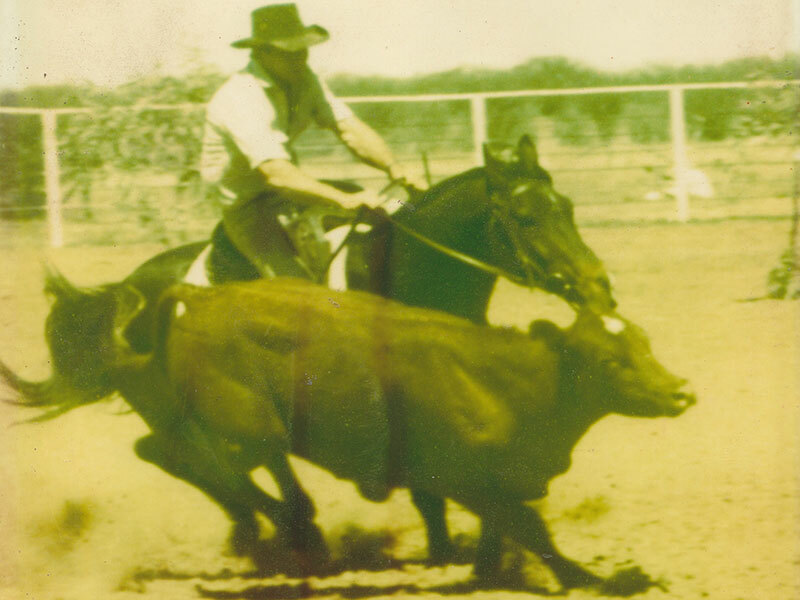 Chasing cattle was natural to him, he was smooth and could walk…all old time values. 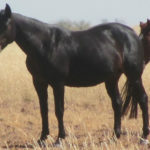 In the end though, it doesn’t matter how good a stallion is, it is how good their progeny are and that they better the mares they are bred to. 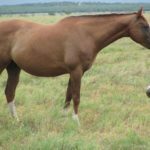 I don’t think we really appreciated Playrio to the full extent or knew how good he was until we started handling, riding and drafting his foals. 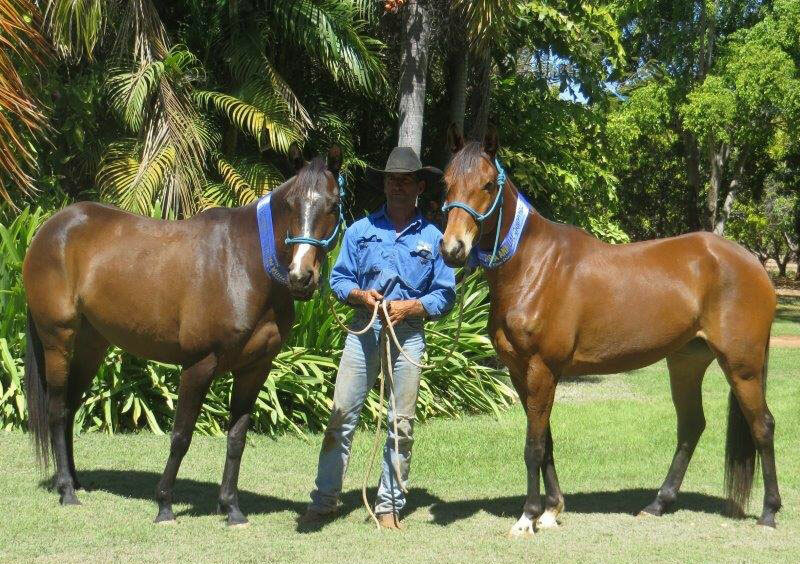 Bushranger & Madison Hall 2017. 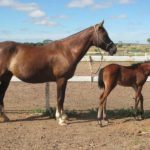 We are extremely happy with our Playrio progeny. 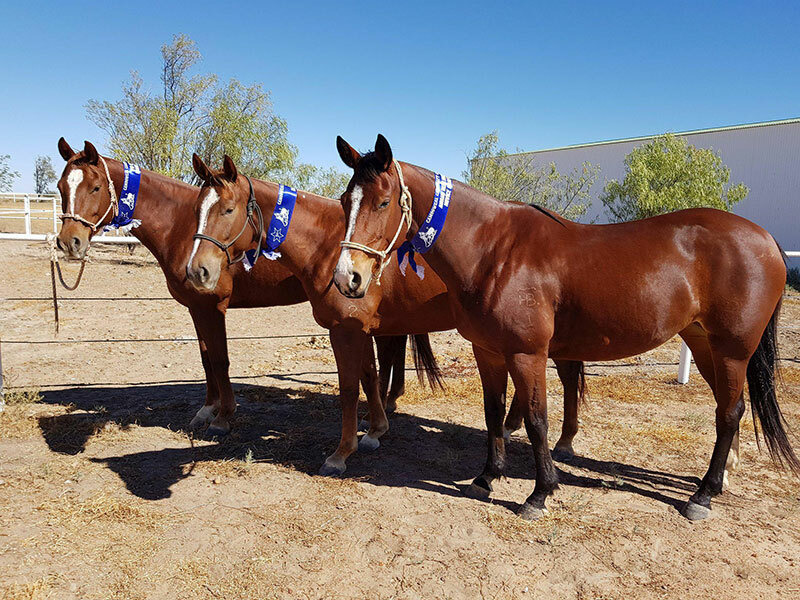 They have won The Canning Downs, The Triple Crown Aggregate, ACA Novice and Open Horse Titles and many other prestigious drafts in a relatively short time-frame and with a small number of outside mares to him each year but probably some of our proudest moments are seeing them safely and effortlessly carry our daughter Madison to Junior wins time and time again. 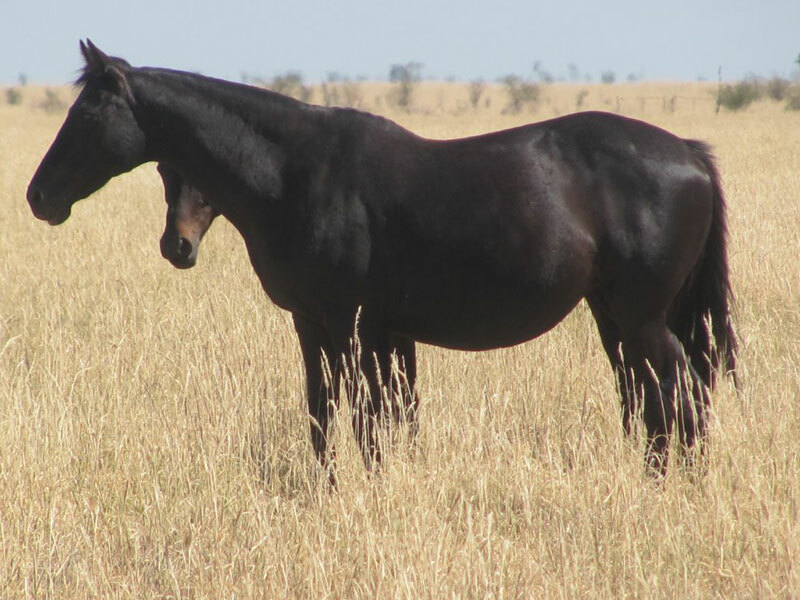 With the untimely early passing of his sire, we didn’t really plan the breeding of the colt as is so often done nowadays but we feel he is the best unplanned horse to ever happen for us! 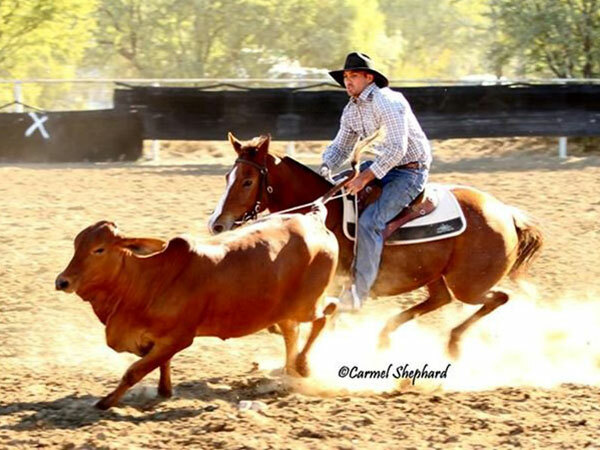 His progeny are stamped with his good traits and we breed everything we can to him while we still have him! 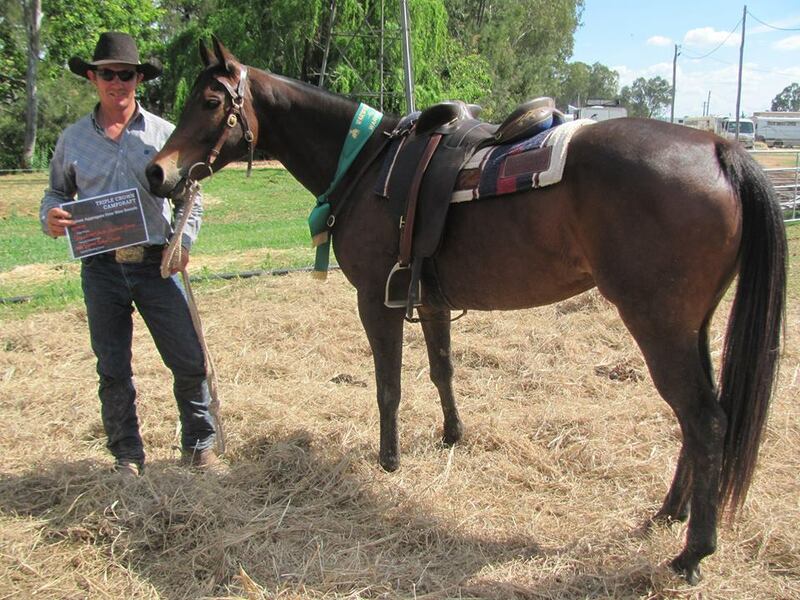 Daley’s Playrio started drafting in 2005 winning Maiden at Saxby at 3rd start. 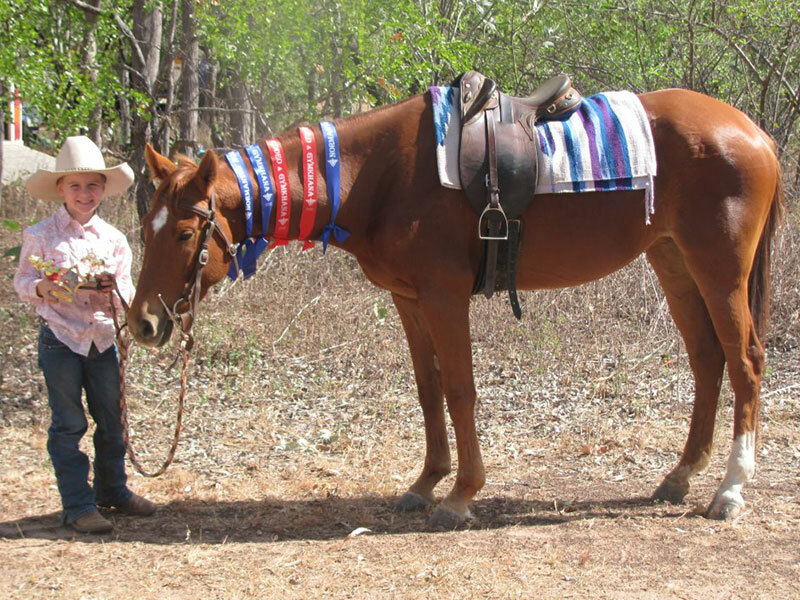 Winner Champion ACA Rookie Horse. 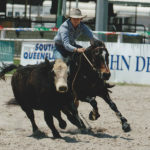 2nd Supaquest from 3 venues only. 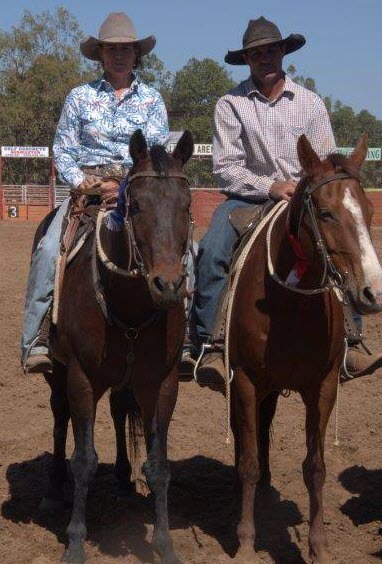 Won Burrandowan Open in 1st year of competition. 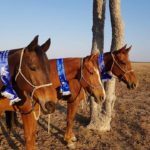 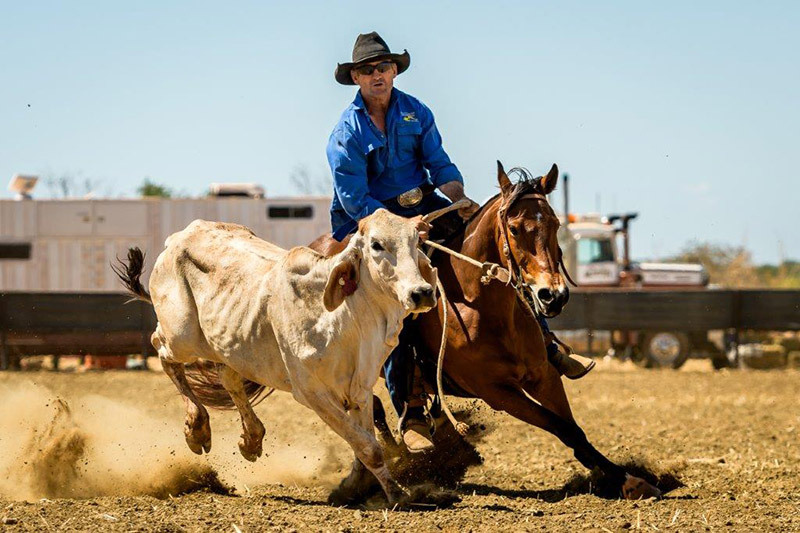 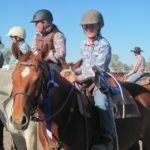 Paradise Stallion, Cloncurry, Mt Isa, Longreach, Saxby and Camooweal. 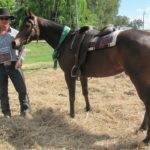 Ben and Jaye were late getting PLAYRIO progeny as Jaye’s family didn’t have any mares that weren’t related to him. 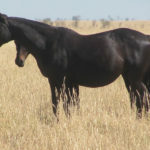 Since then, they now have Ben’s mares and have acquired a few mares through foal for foal deals. 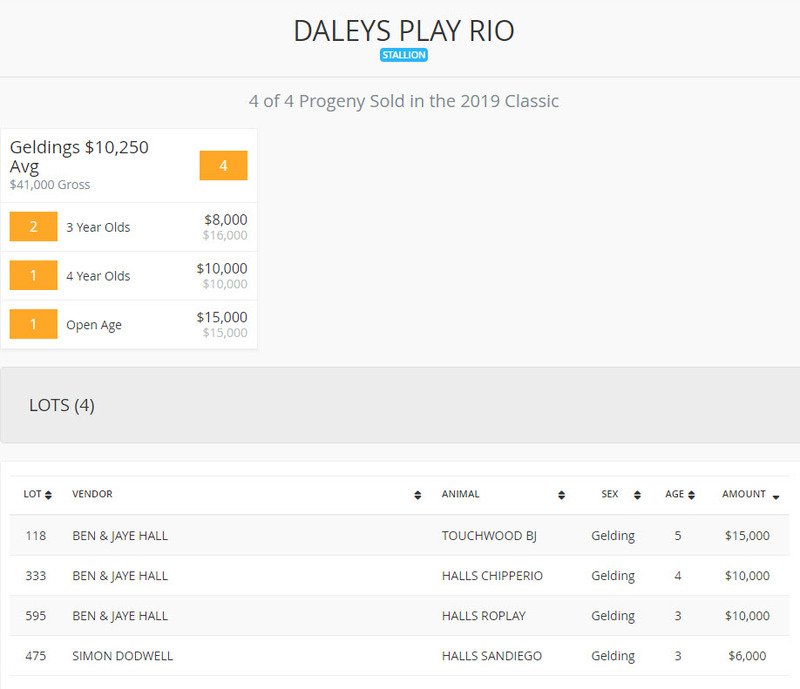 Consequently the PLAYRIO‘s are now starting to come through. 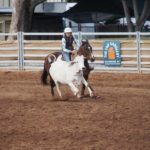 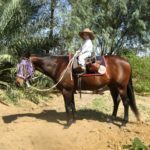 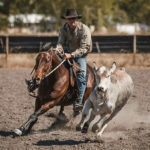 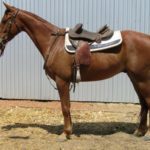 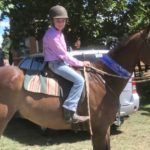 They have had every type of mare imaginable, from highly strung thoroughbreds to very placid mares, and 3 things consistently shine through in his offspring: They have great temperaments, cool minds and are good to ride. 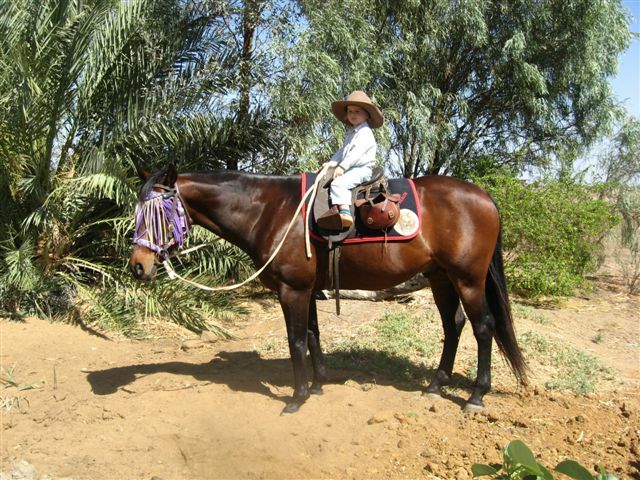 They have natural cattle sense, a very strong point in PLAYRIO himself from a very young age. 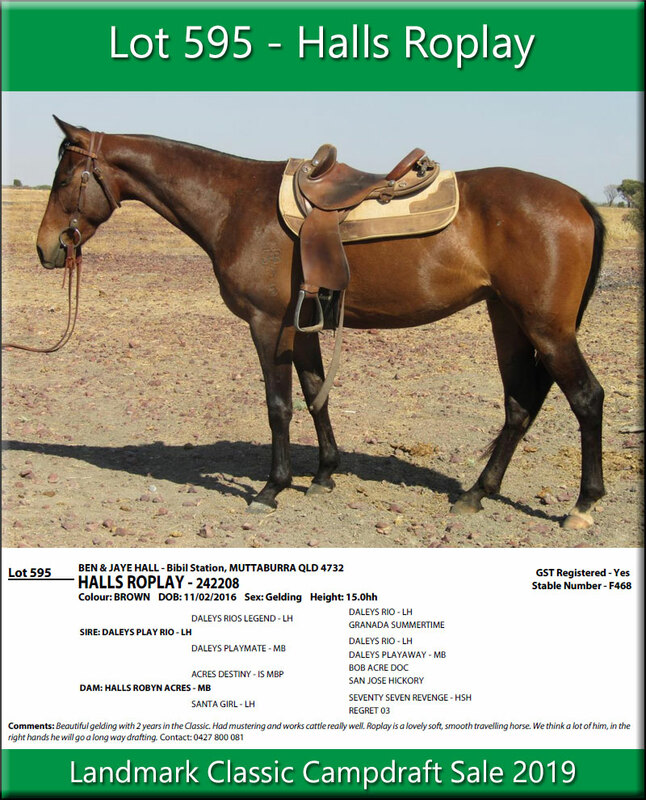 His foals don’t need much work and the Hall’s futurity them as 3 & 4 year olds. 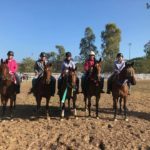 Lineup of some of the Playrio’s bred and currently ridden by the Halls, varying from their eldest 9yo to 2yo’s (2017). 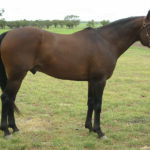 Raevio (Rave), Visionsario (Vista), Sayplay (Oak Rumours), Portrait (Gloss), Mini Rio (Mini), Curio (Dry Acres), Privilege (Gossip), Cleo (Cleva Oak), Remio (Remenisce), Santa Rio (Santa Girl), Mink Rio (Mink), Eltorrio (Citori), Bushranger (Wishes), Jackson (Caprice), Poetic (Gloss), Painted Rose (Rosenoak), Designerio (Design Acres), Cleverio (Cleva Oak), Miss Abbey R (Abbeyoak). 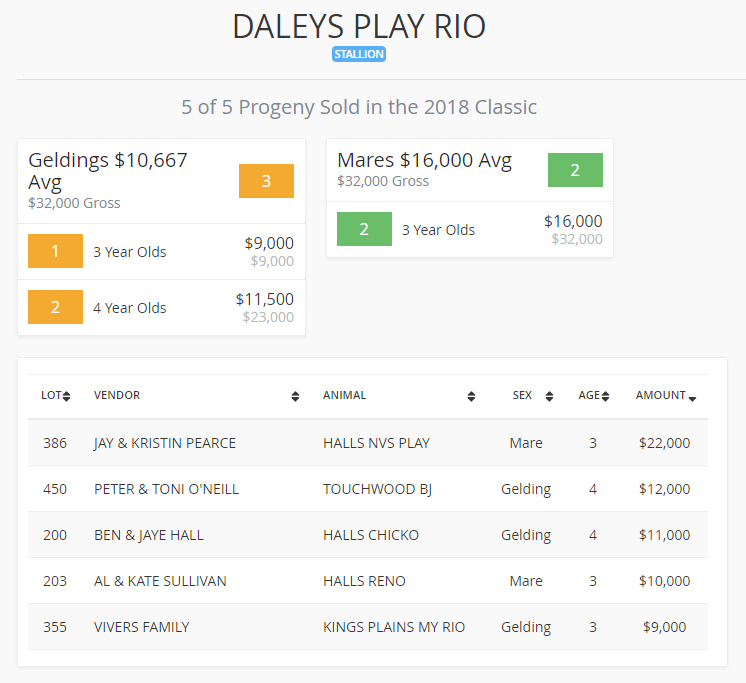 Playrio’s third place in both 2015 and 2016 is a major achievement considering he is a young sire with far fewer progeny competing than his rivals in this category. 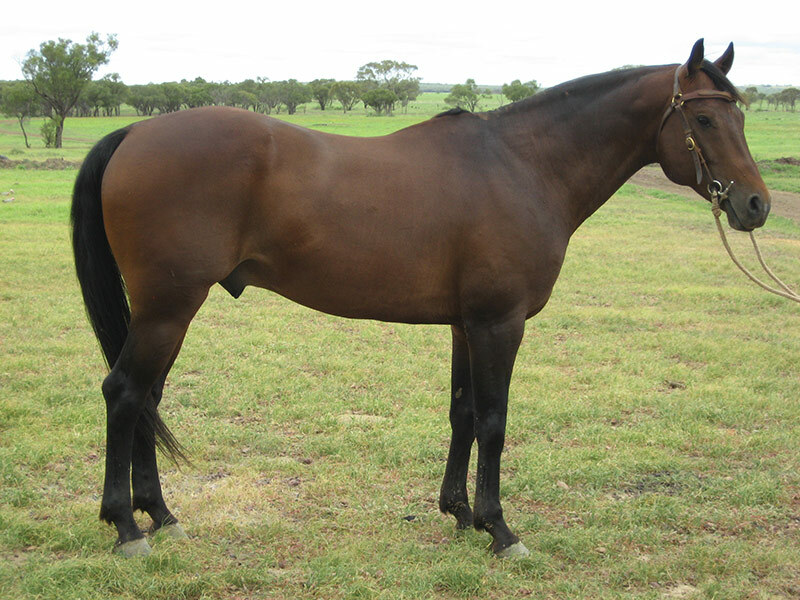 Also of significance when considering the Playrio progeny is the number of ACA Horse Titles these young progeny have won. 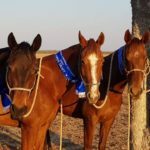 Playrio progeny are winning and placing week in, week out, so these results only highlight the top results not all. 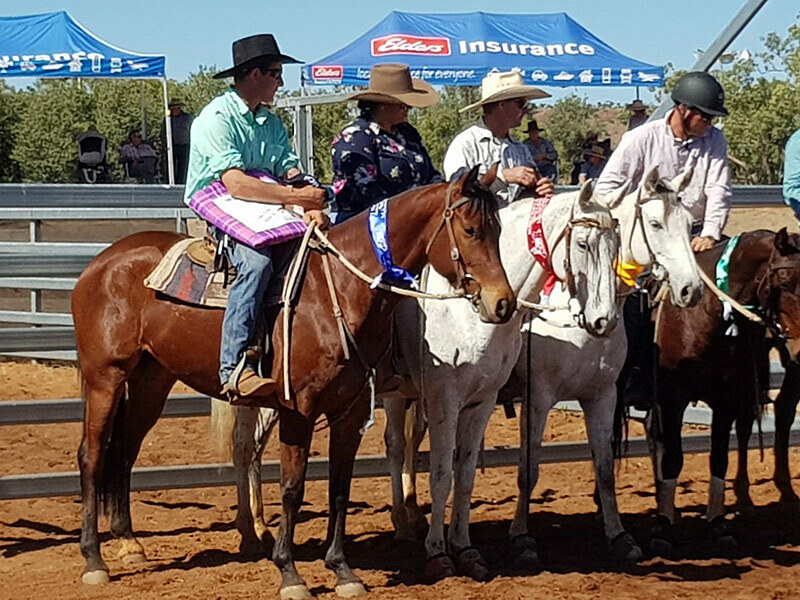 Multiple Novice Draft Winner including Blackall (first start), Gregory and Saxby. 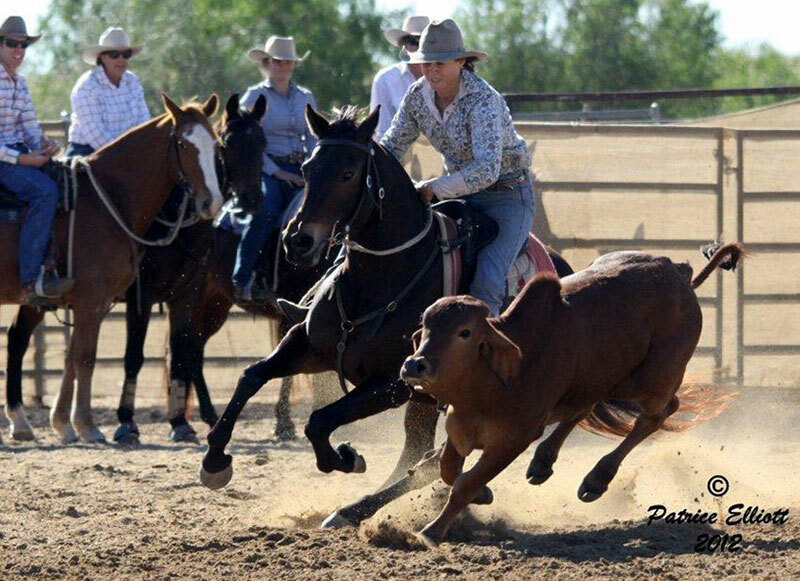 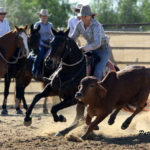 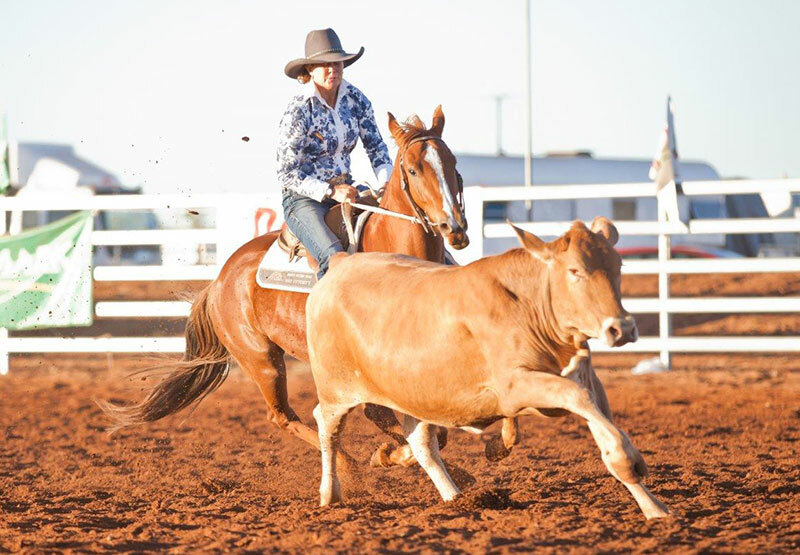 Dolly Everett Memorial Ladies Draft – Co-Reserve Champion. 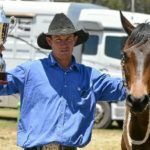 2017/18 ACA Runner up Novice Horse of the Year. 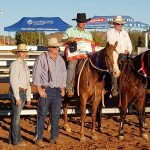 Hughenden Classic Draft Winner after 3 rounds with a run off (82,91,87 & 90 in the runoff). 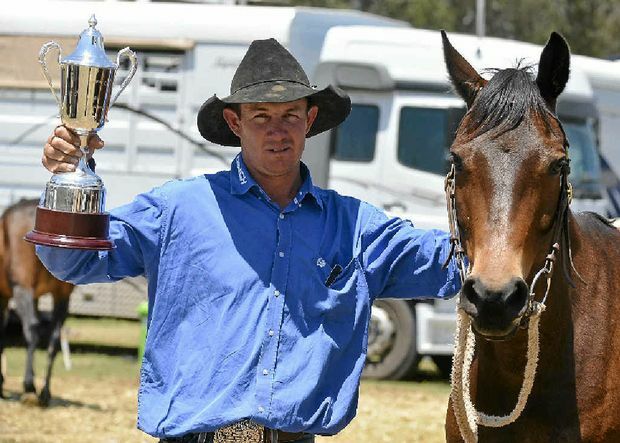 Winner supreme cutout of the weekend after a runoff (24). 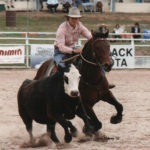 Also placed in the Open. 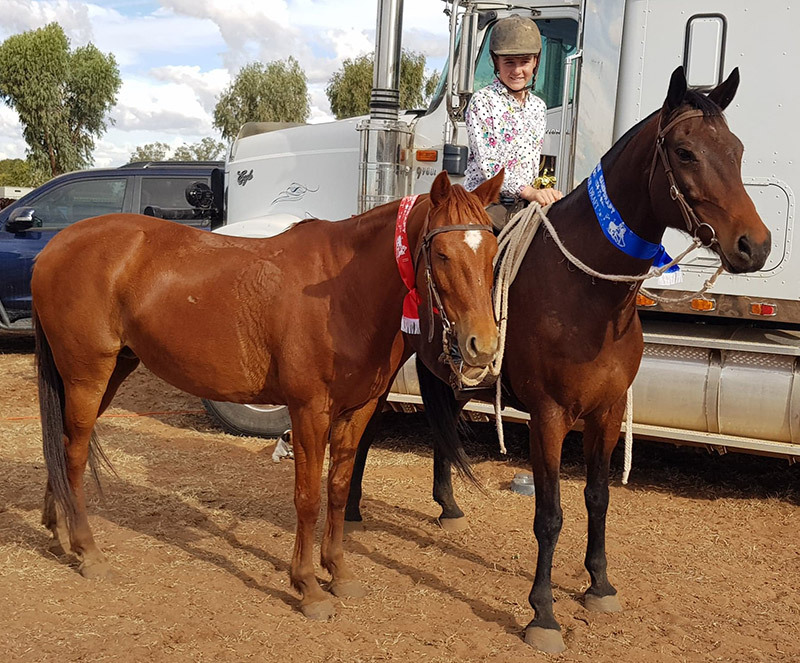 Maiden & Novice winner placegetter, including Burke & Wills Maiden winner. 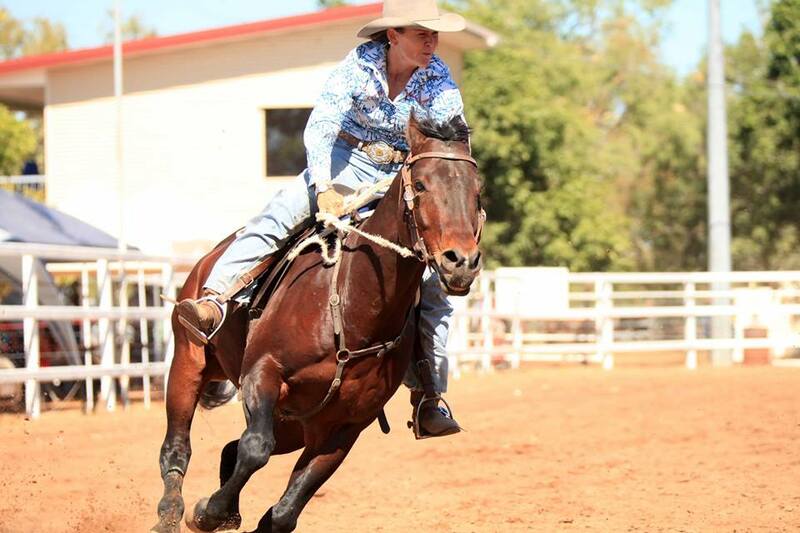 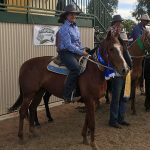 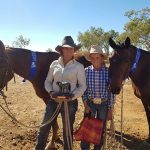 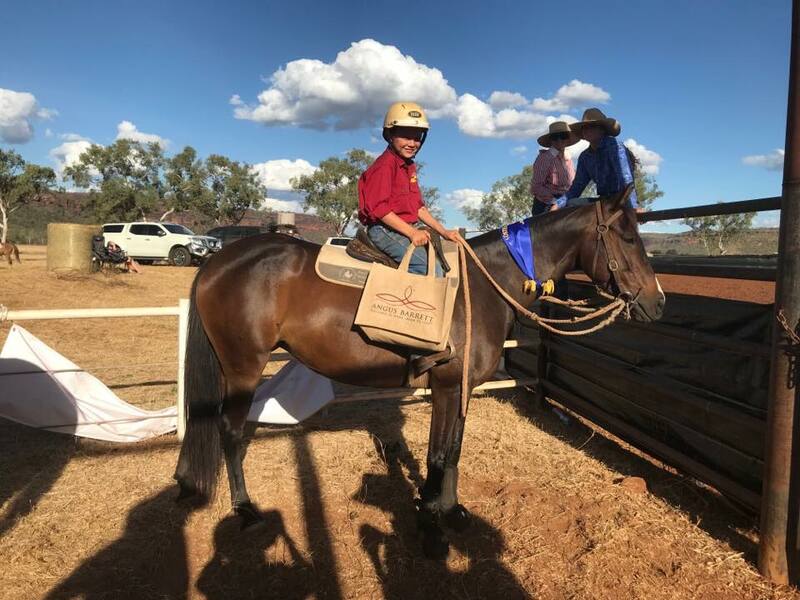 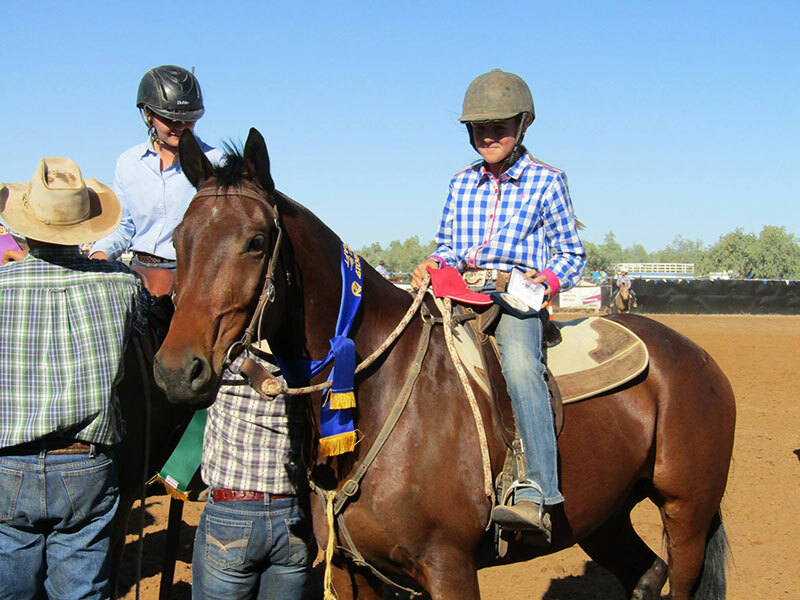 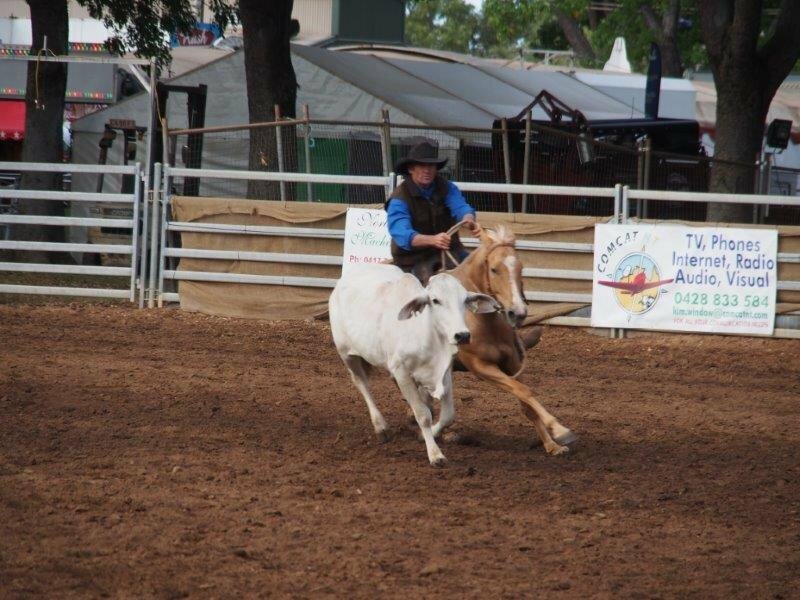 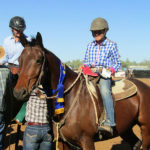 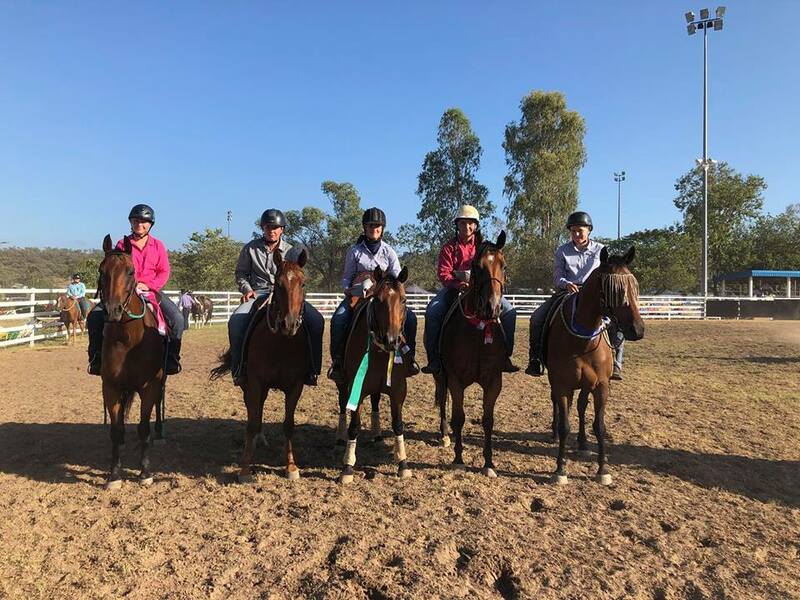 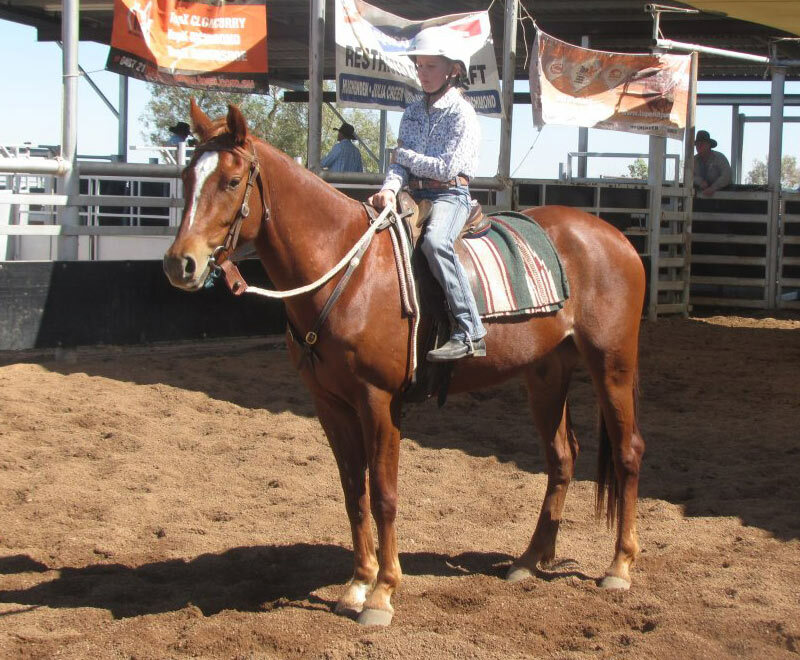 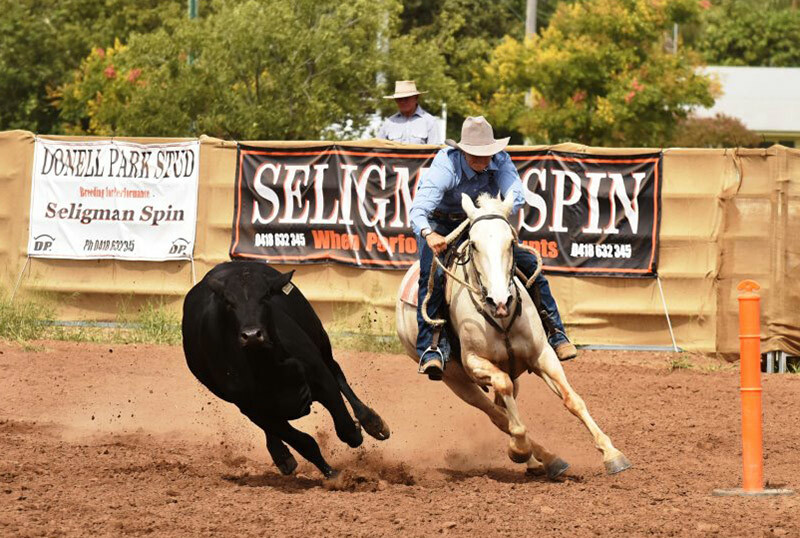 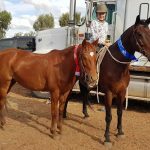 Winner Springsure Juvenile – 1st Juvenile event. 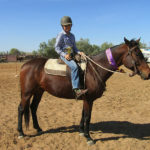 Novice – 1st (91,89,85) with Ben after runoff. 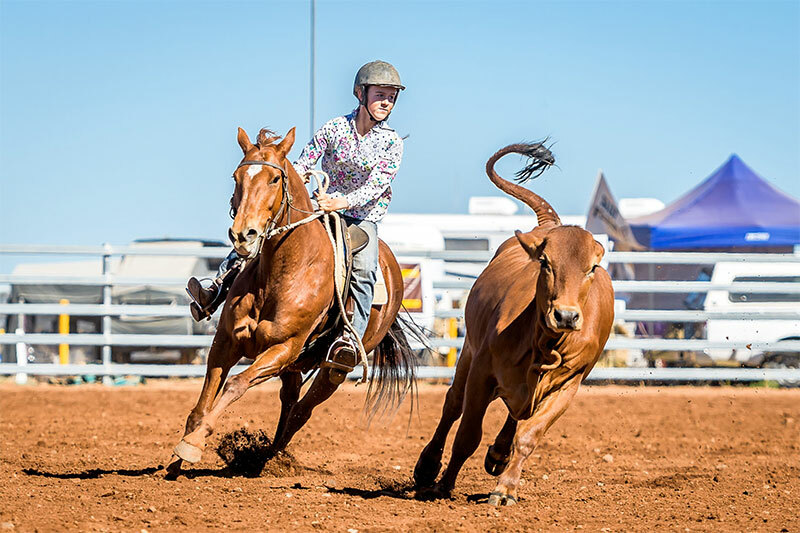 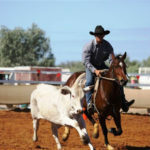 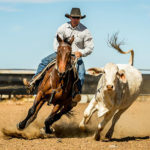 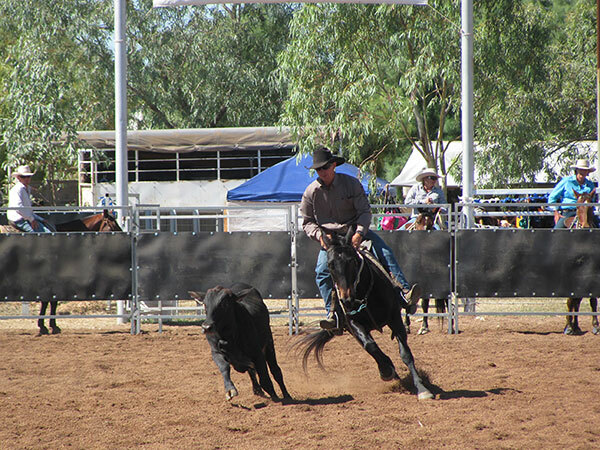 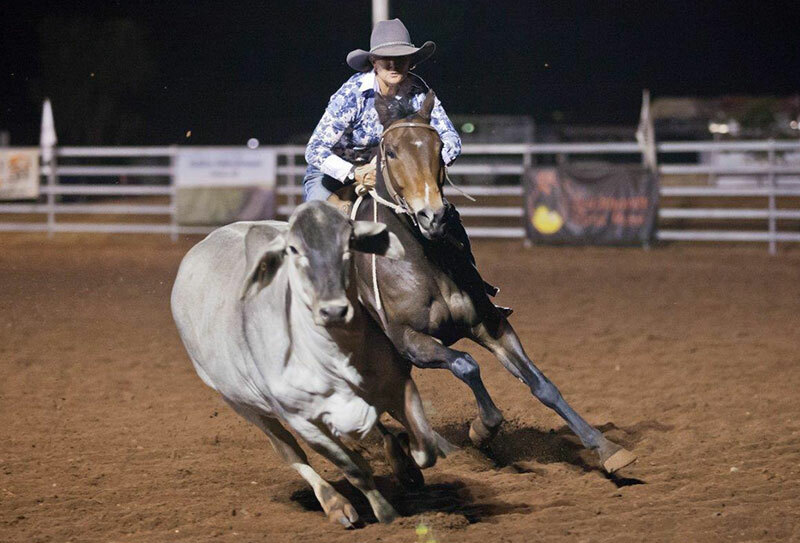 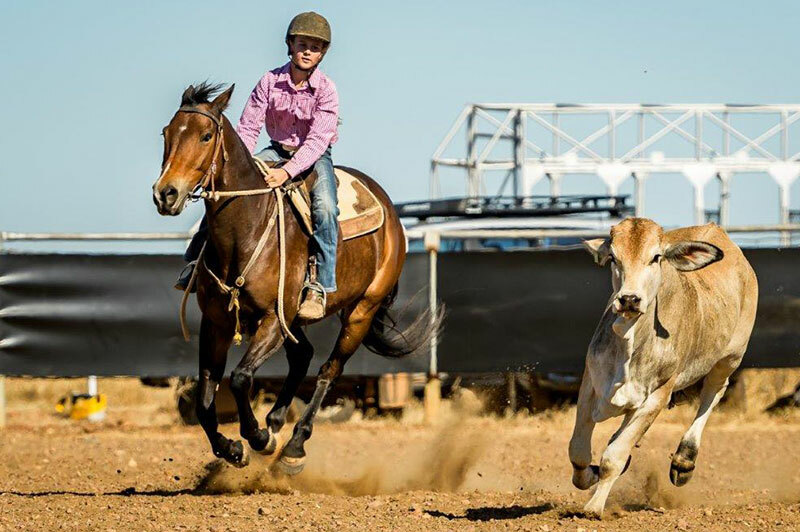 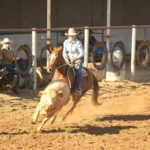 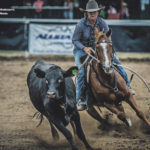 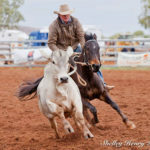 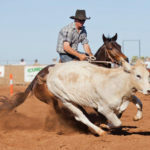 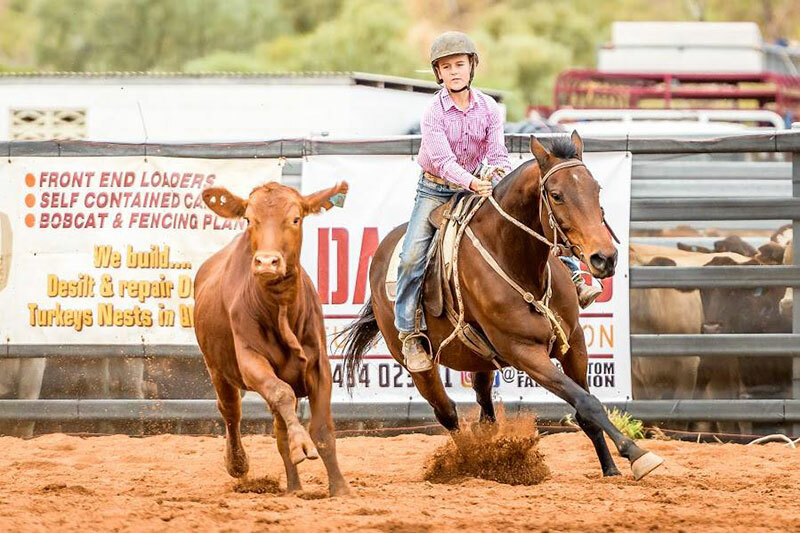 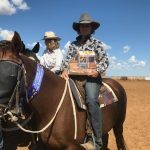 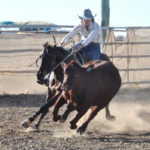 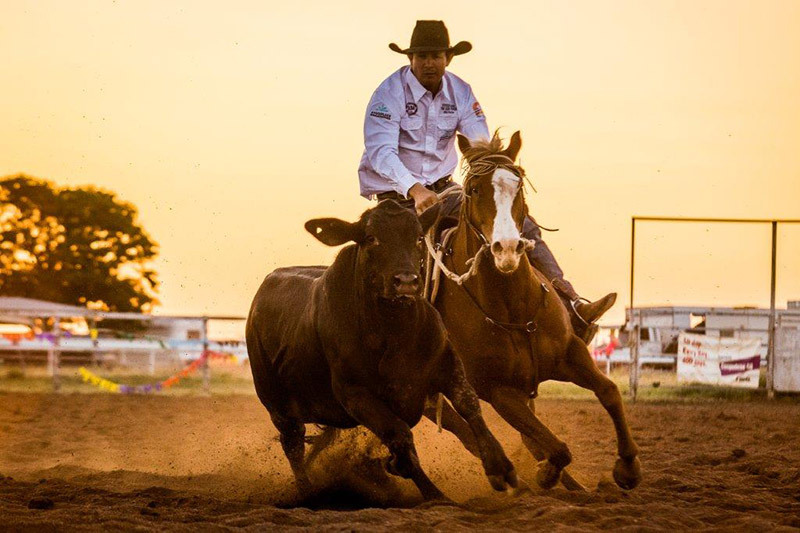 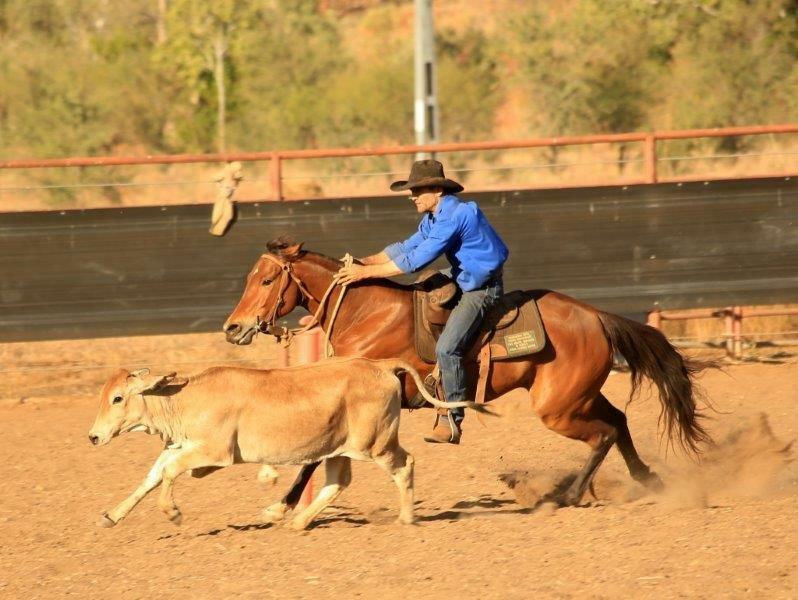 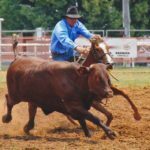 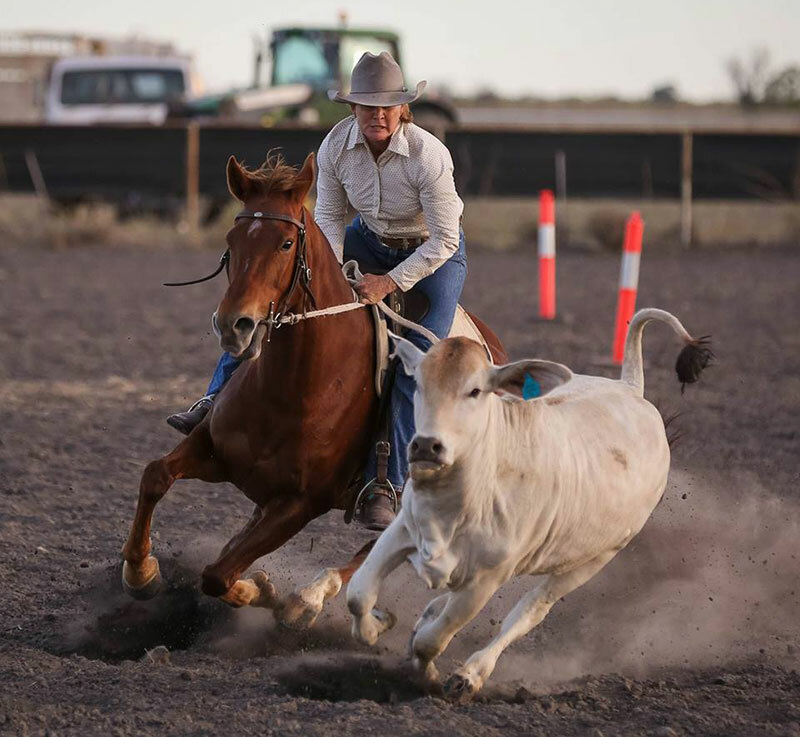 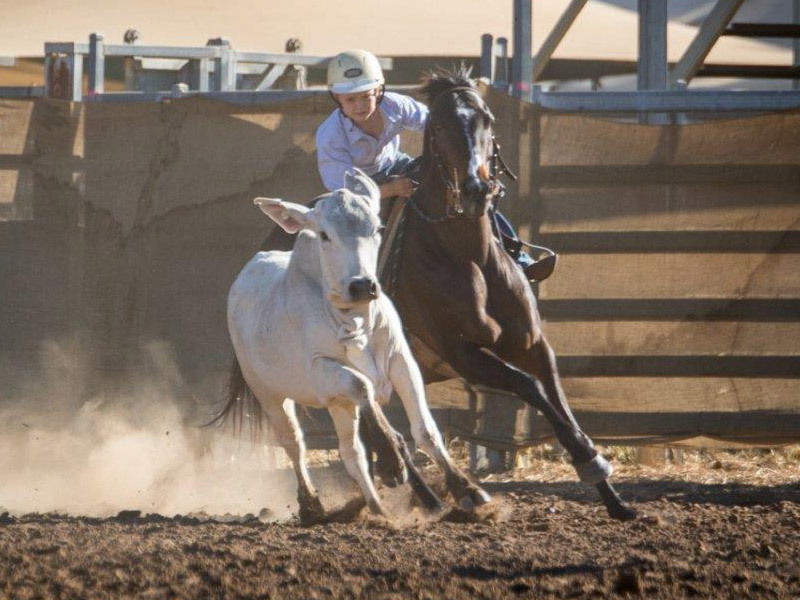 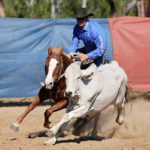 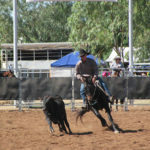 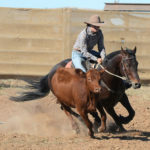 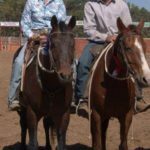 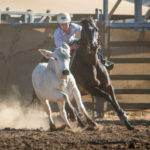 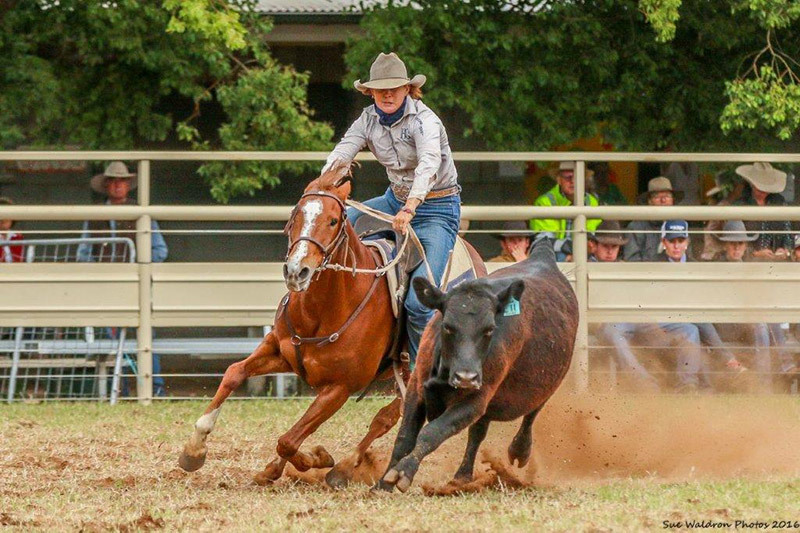 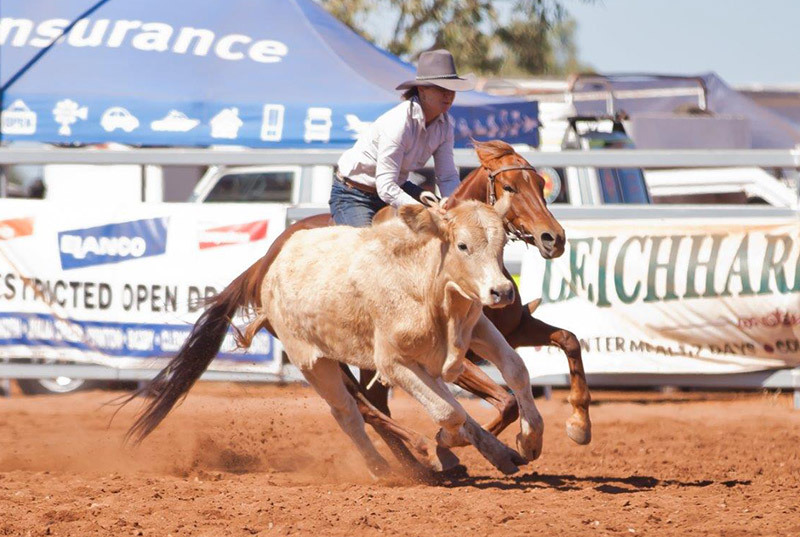 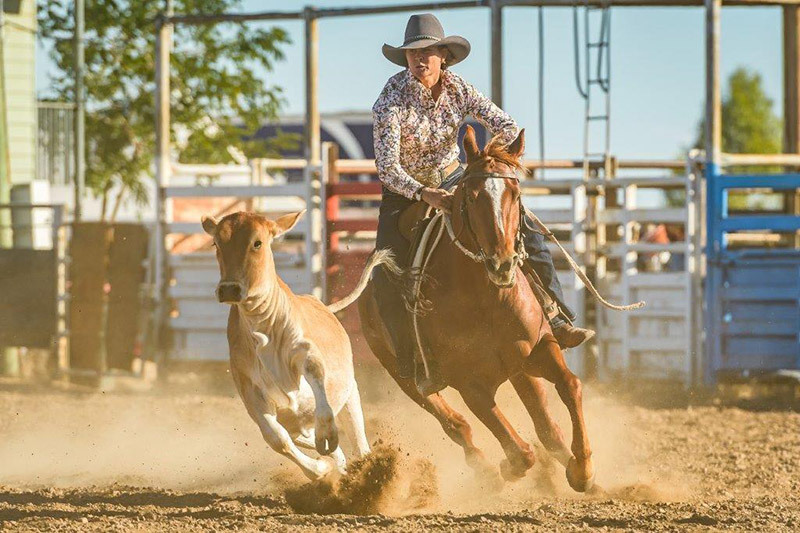 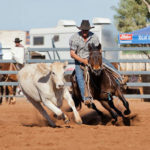 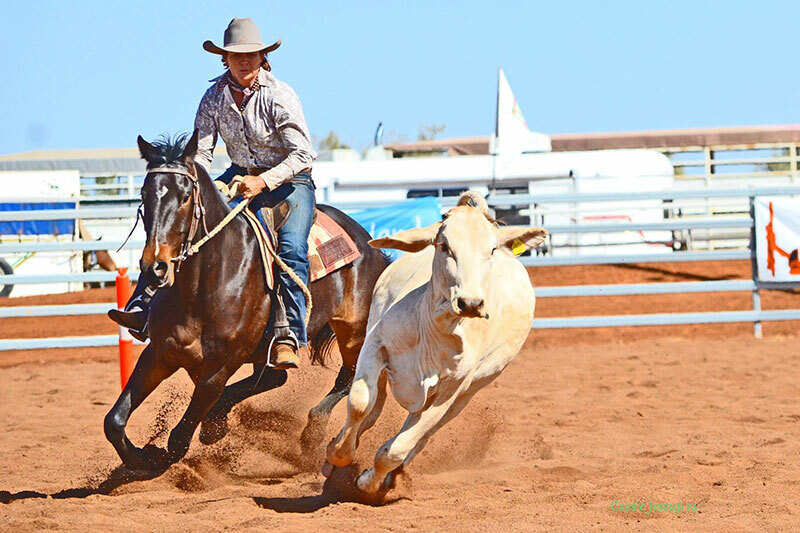 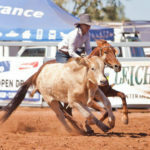 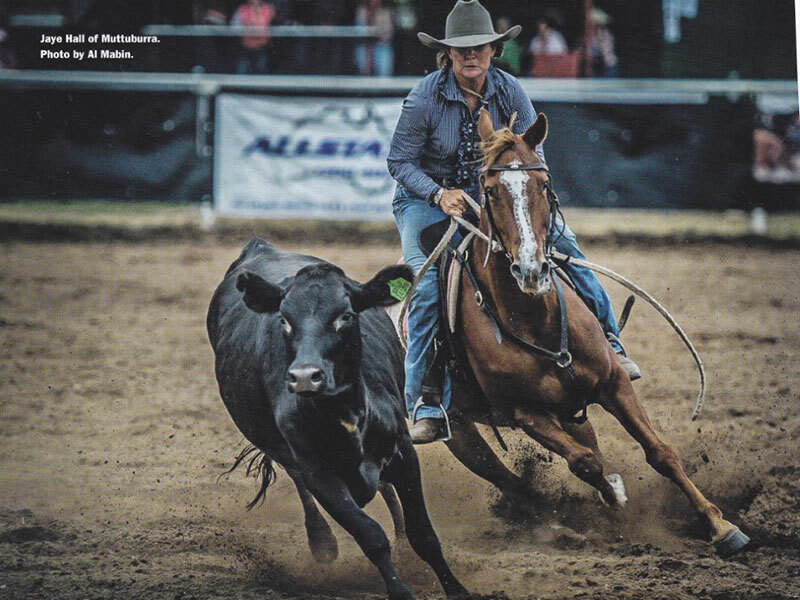 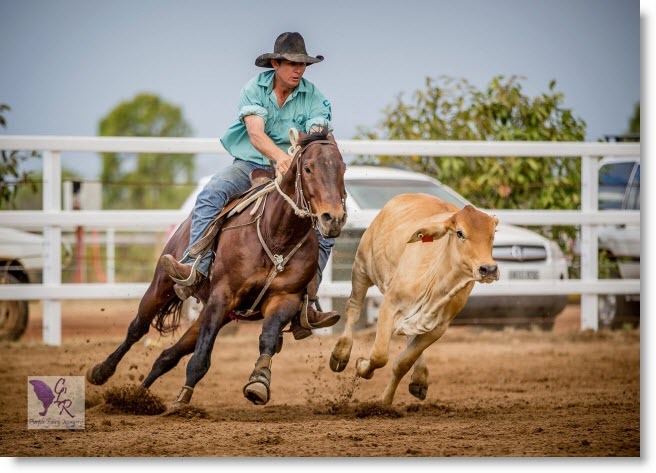 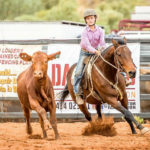 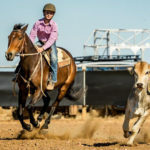 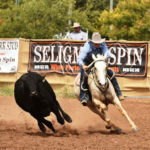 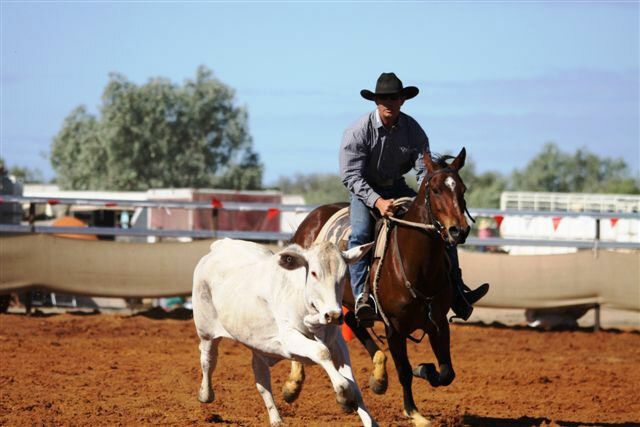 Cloncurry Stockman’s Challenge & Campdraft with Madison. 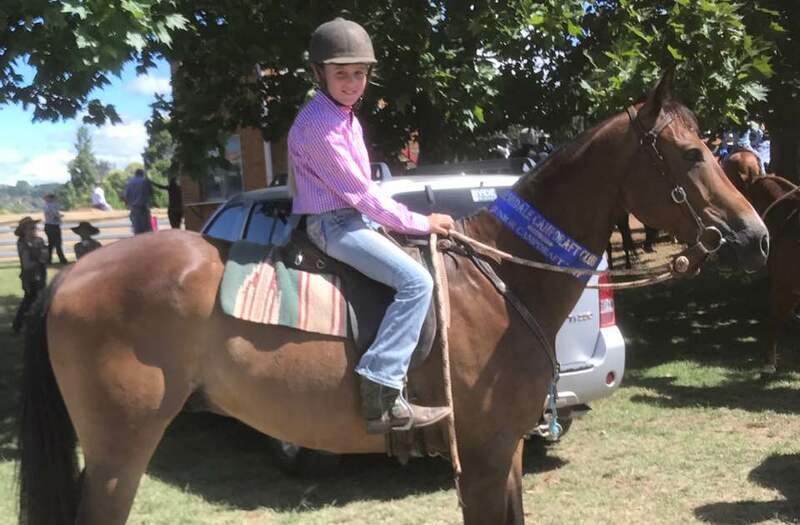 Saxby – Champion Girl Rider, Winner Junior with Madison. 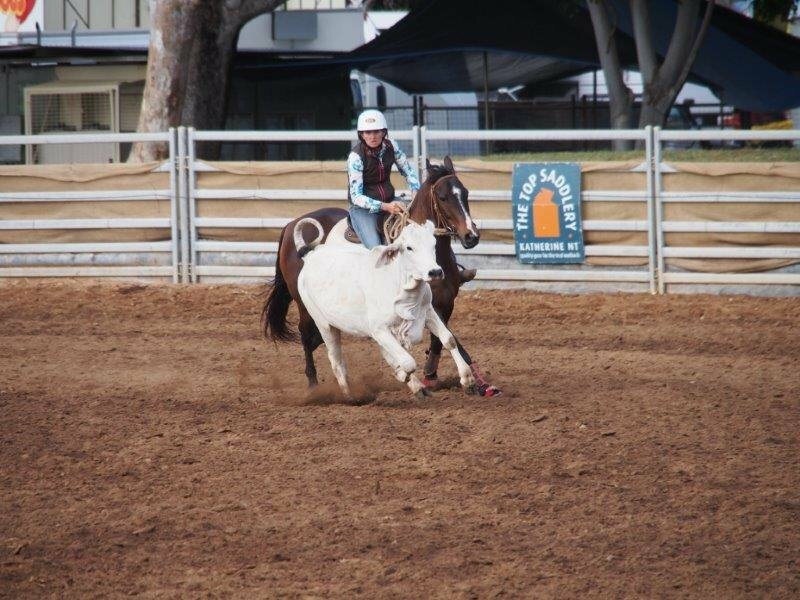 Then on to the Novice with Ben. 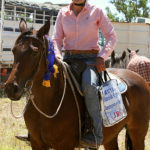 Pink Diamond Earrings ($4000) Kununarra Novice Winner. 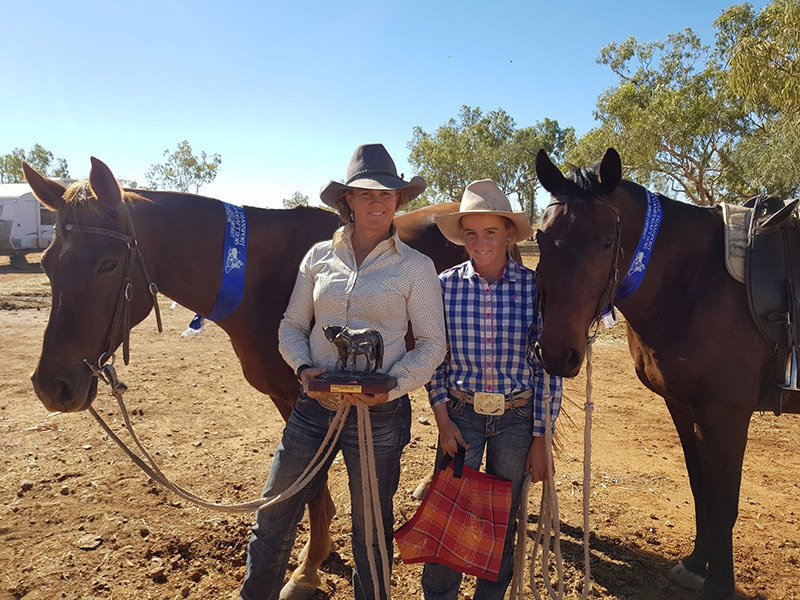 Multiple Ladies Draft Winner including Tennant Creek and Kununurra. 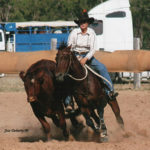 Pussycat Bore Open Rd 2. 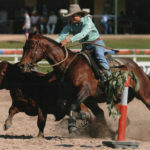 Horsework Score 68. 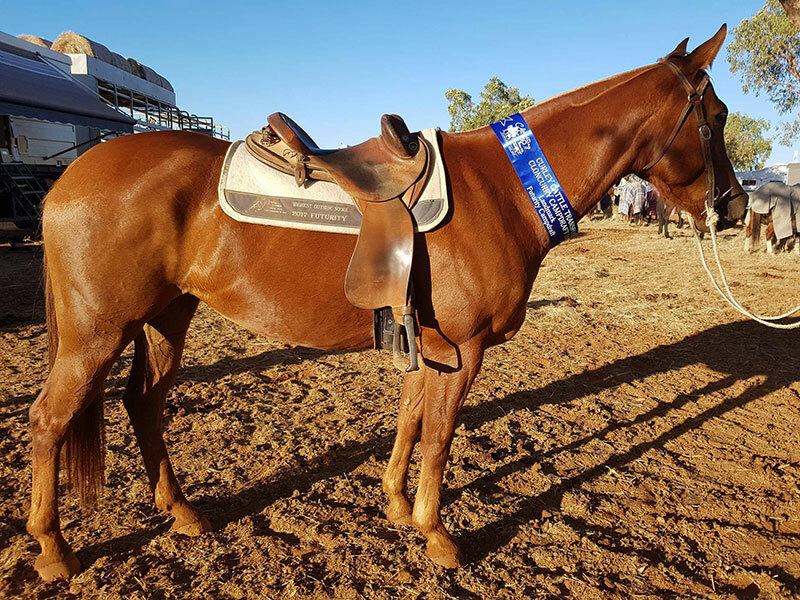 2016 Winner NT Champion Maiden Series. 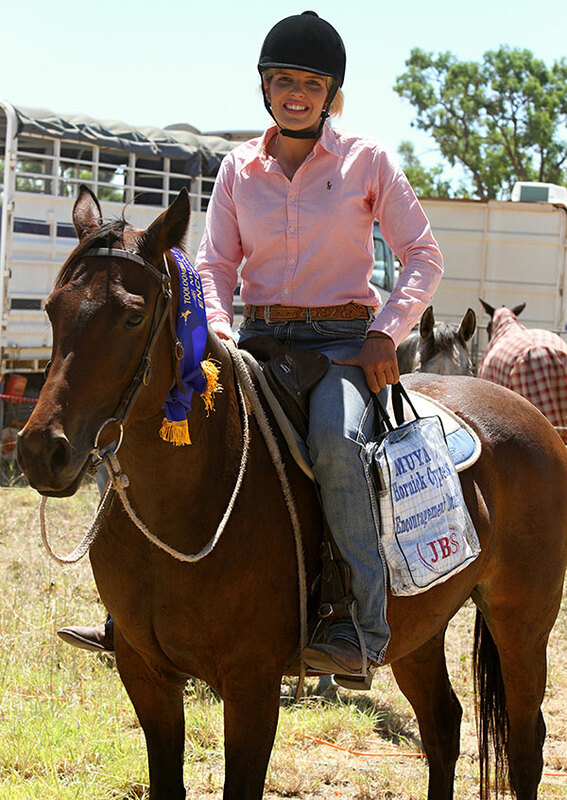 2016 Pink Diamond Earrings ($4000) Kununarra Novice Winner. 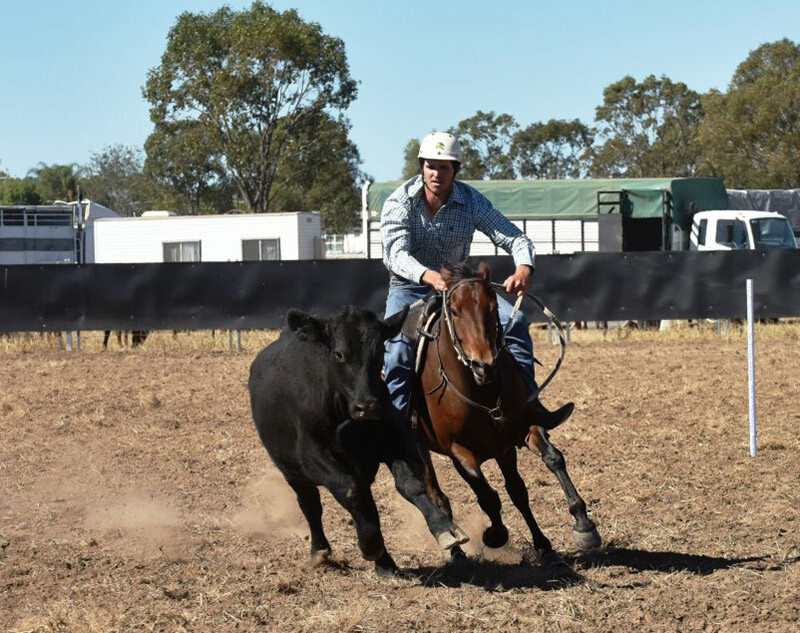 2015 Harts Range Novice – 4th with Ken Ford. 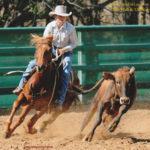 Owned by Ben and Cheri Stanger. 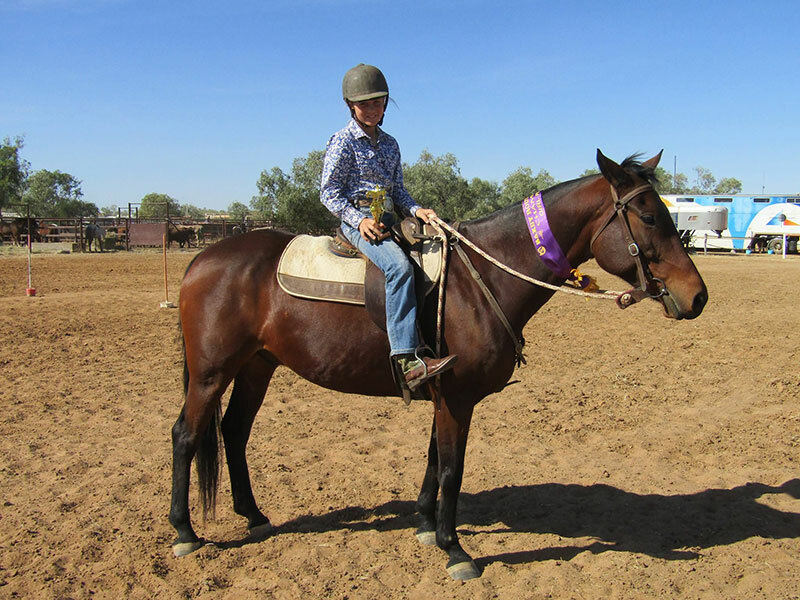 2014 Burke & Wills Novice – 1st. 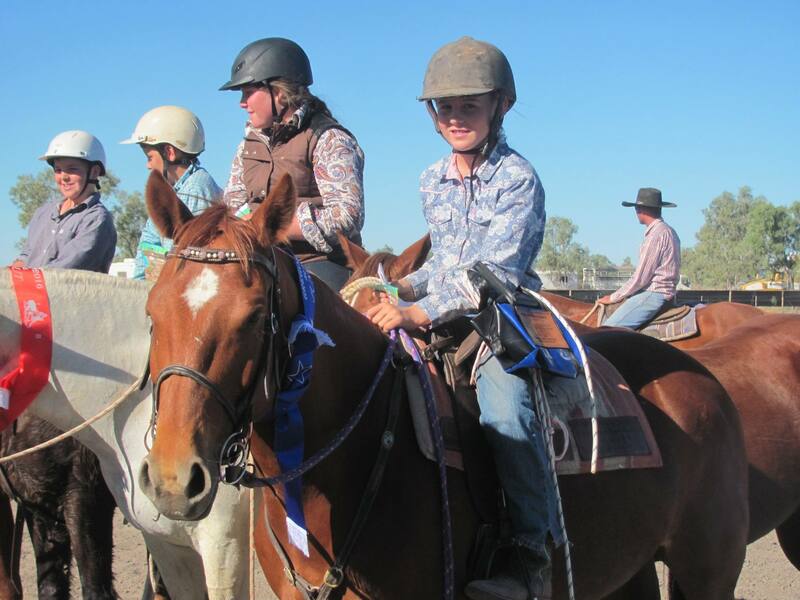 2013 Burke & Wills Novice – 1st. 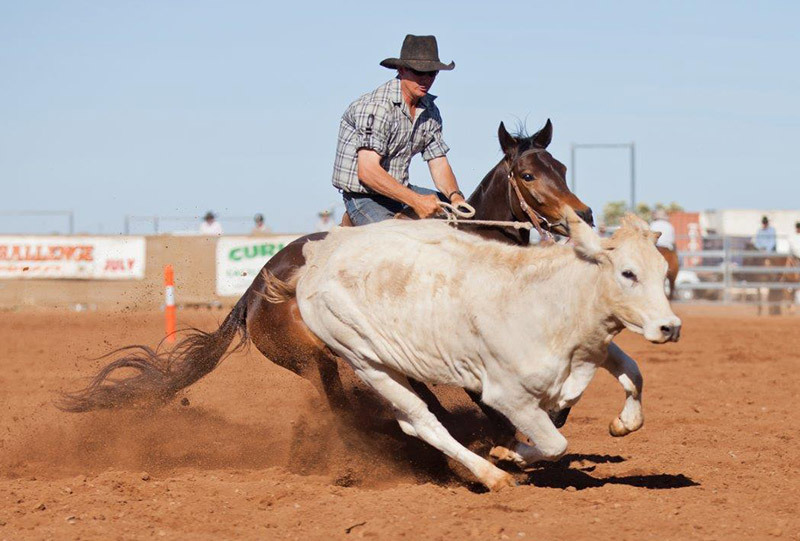 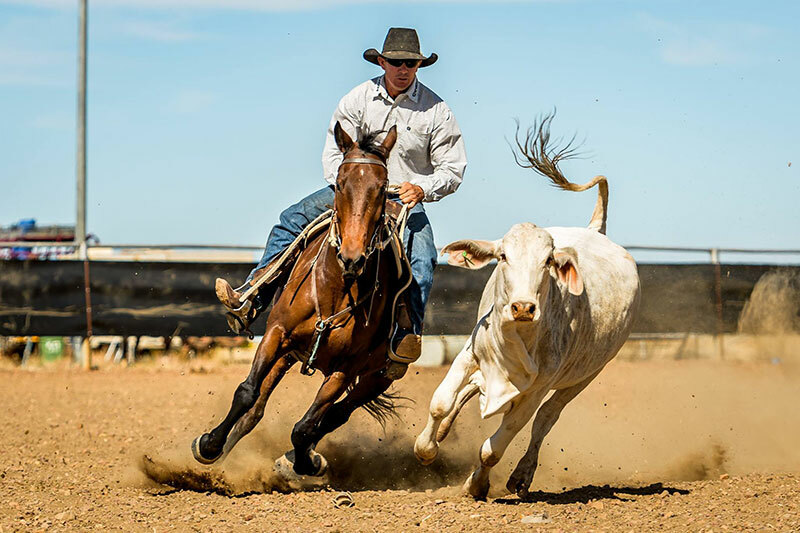 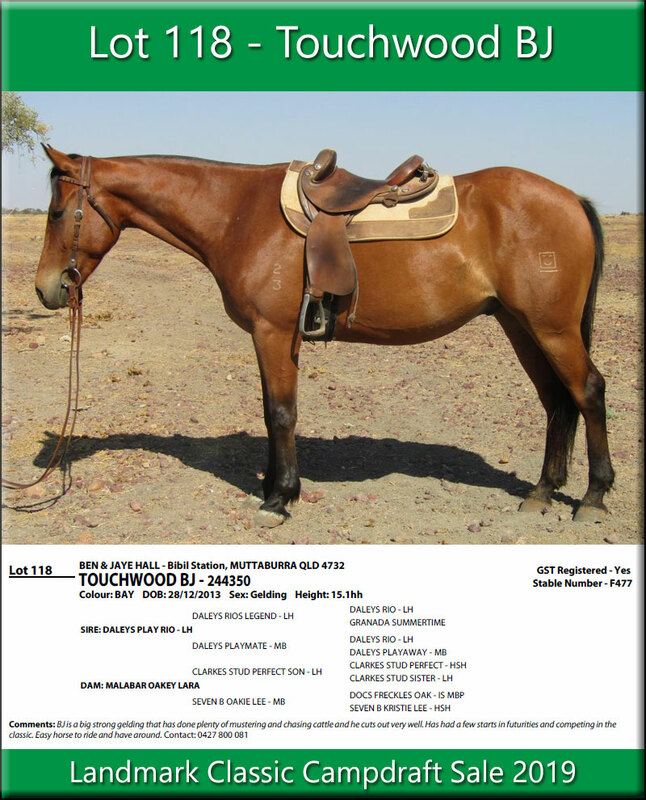 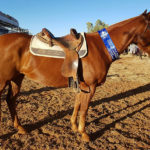 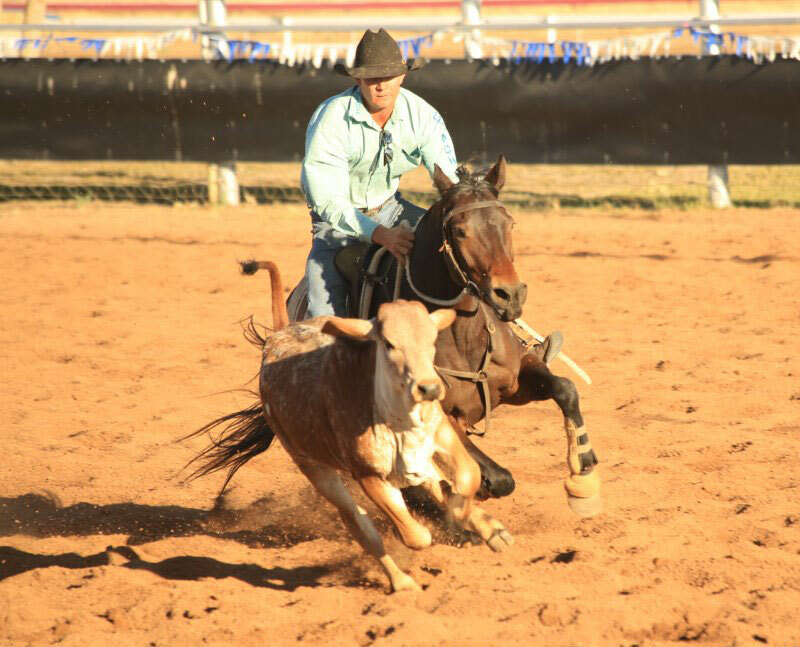 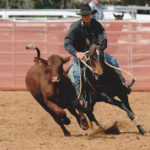 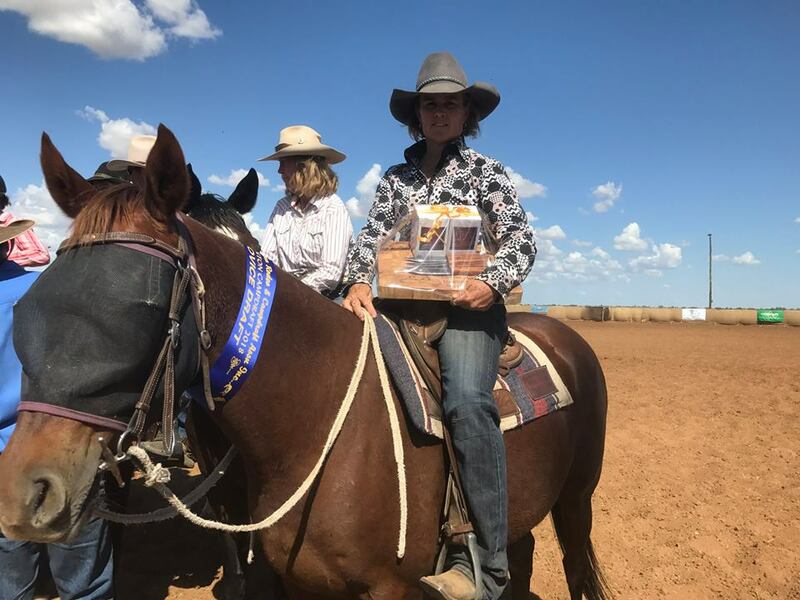 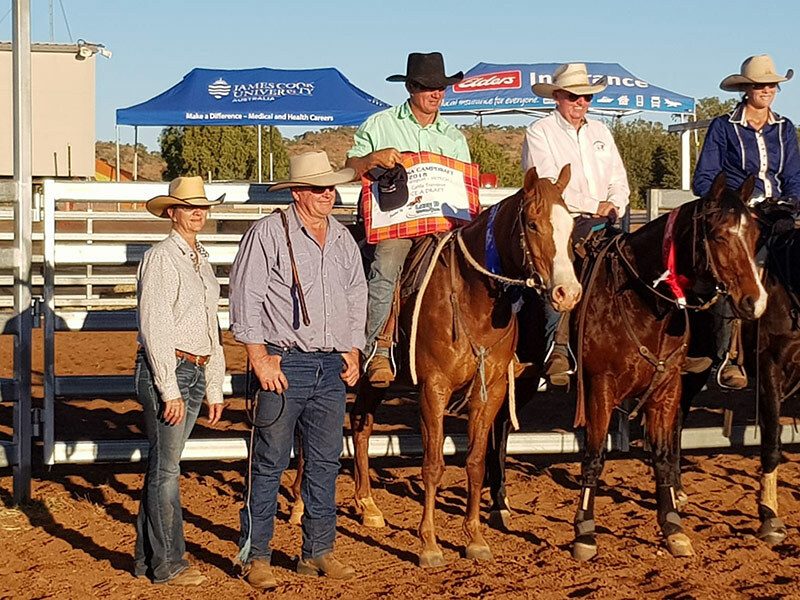 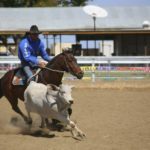 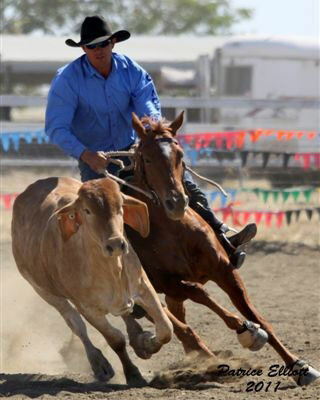 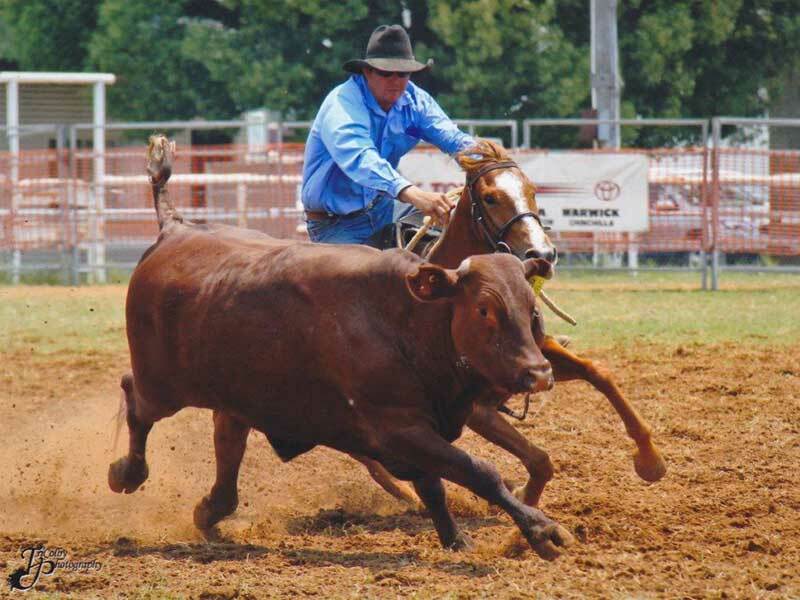 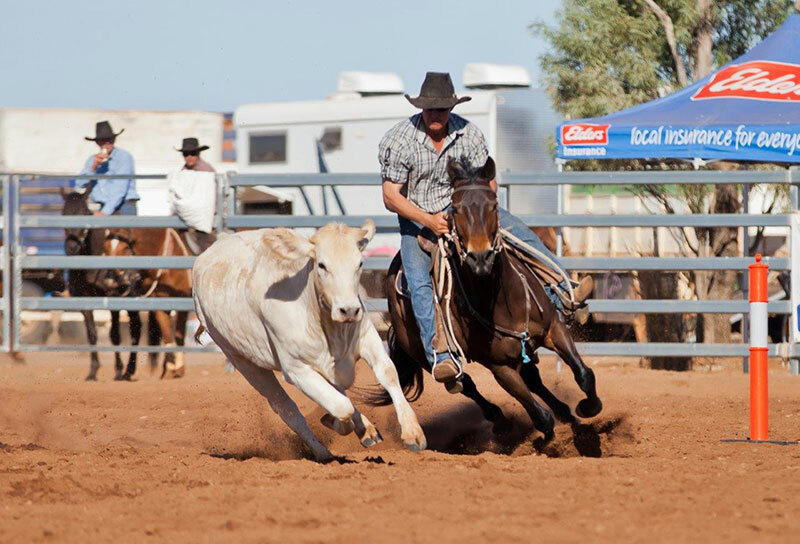 Cloncurry Stockman’s Challenge Futurity Champion (89,87). 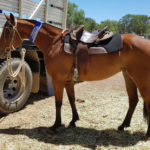 Ridden by Jaye. 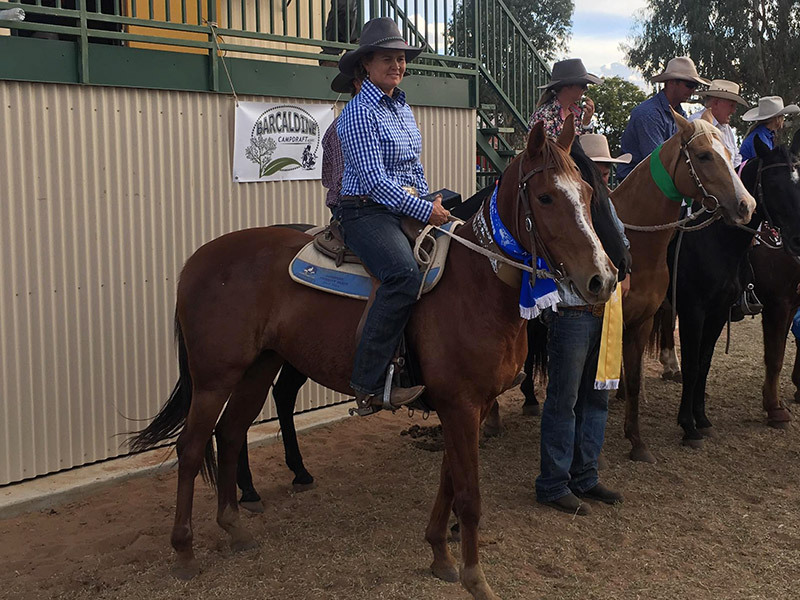 Encouragement Draft Winner ridden by Emily Lawson. 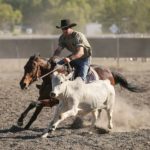 [Top photo: Polish & Todd Maller. 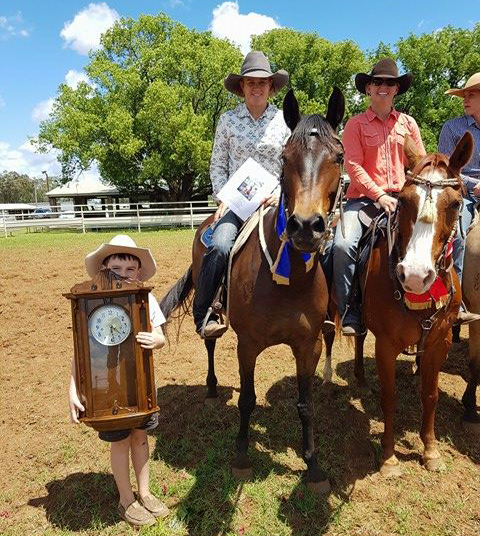 Winner NT Champion Maiden Series. 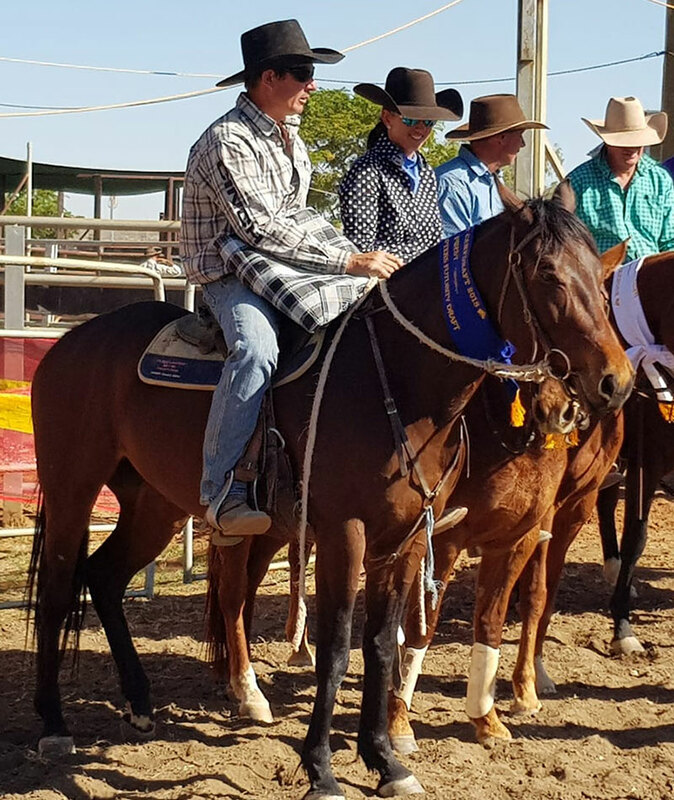 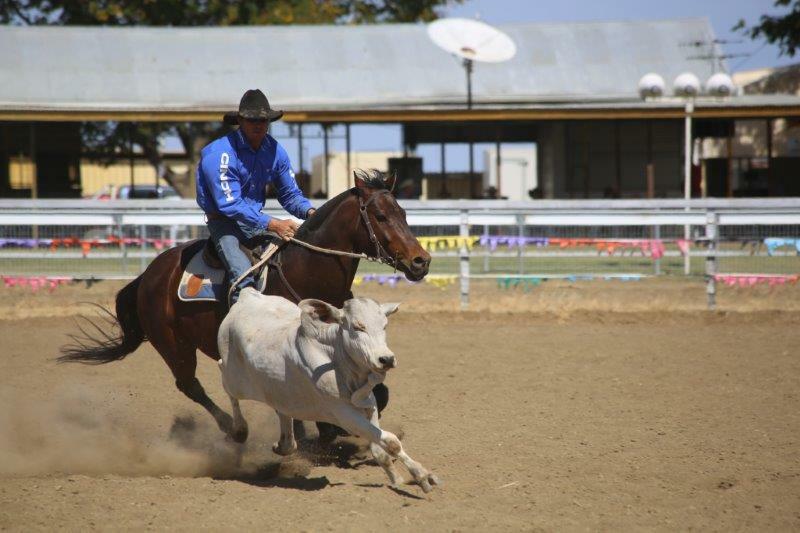 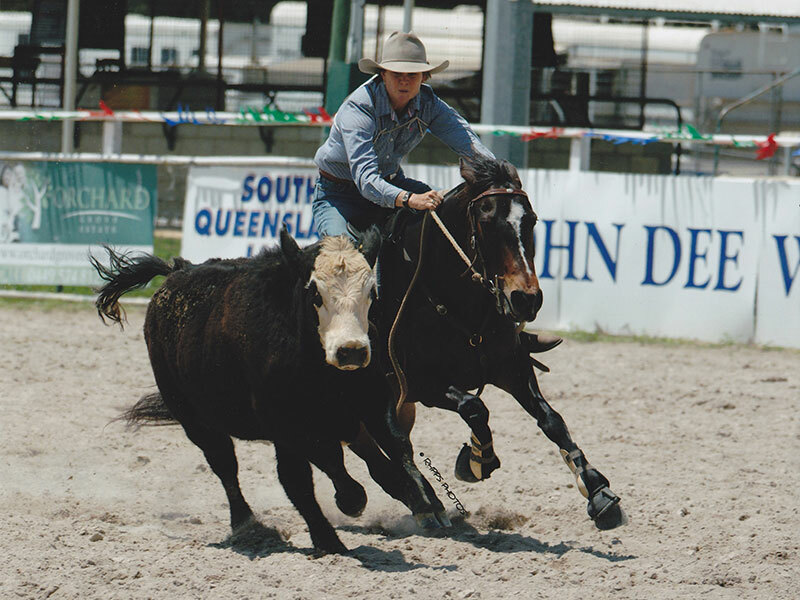 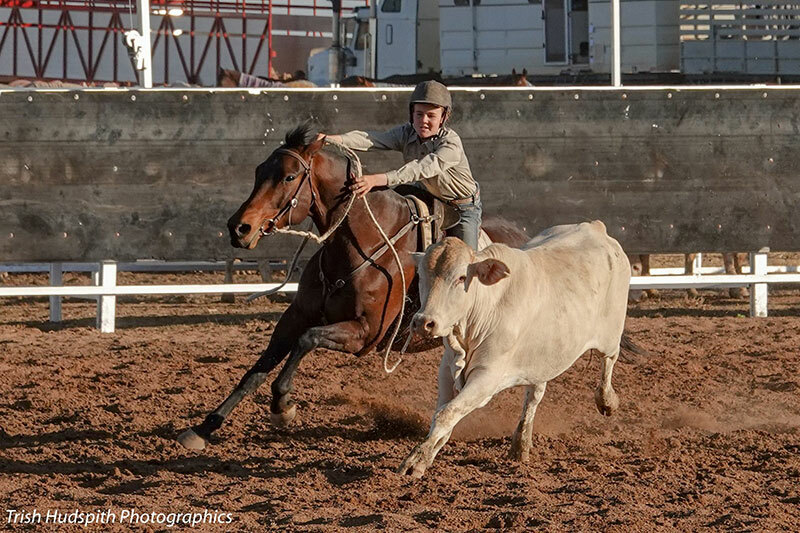 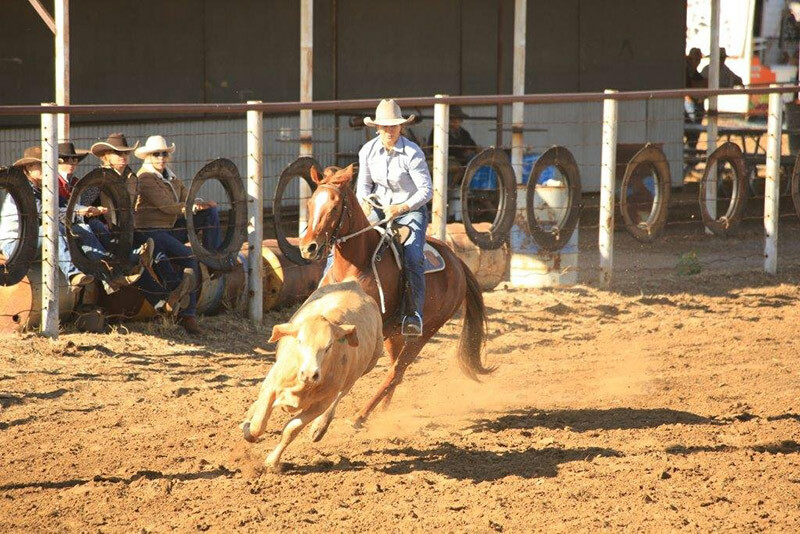 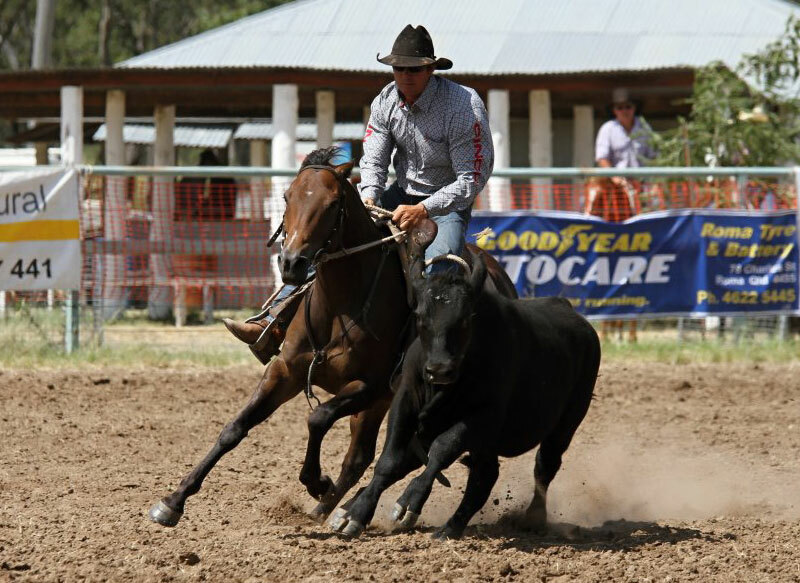 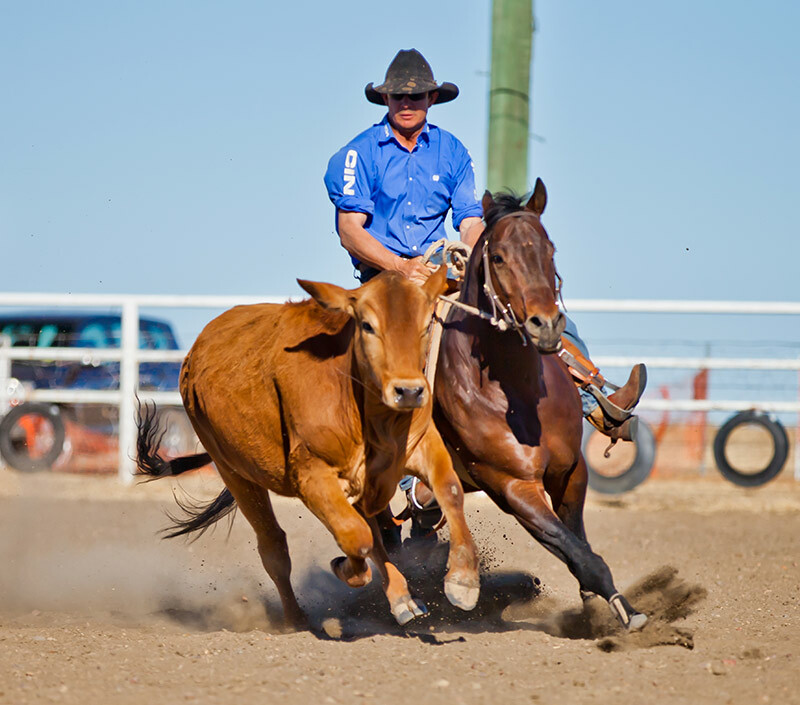 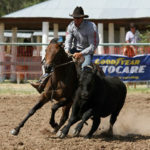 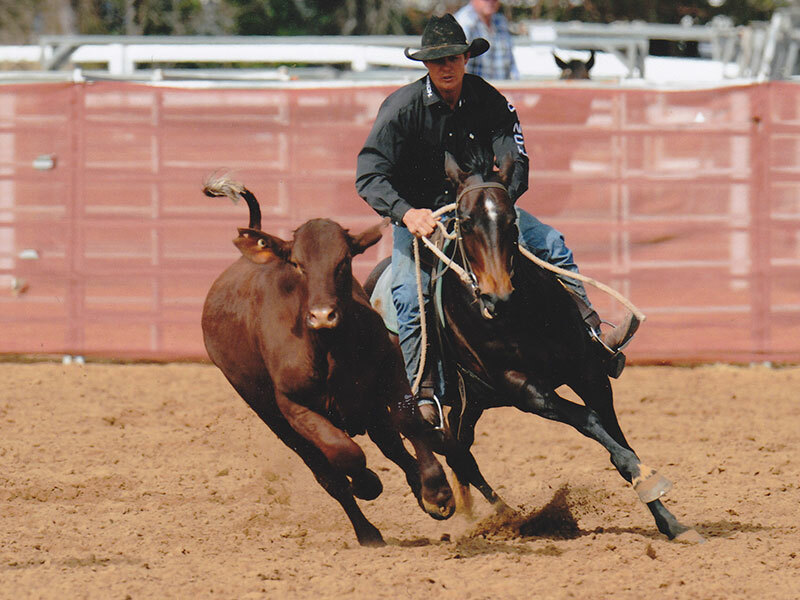 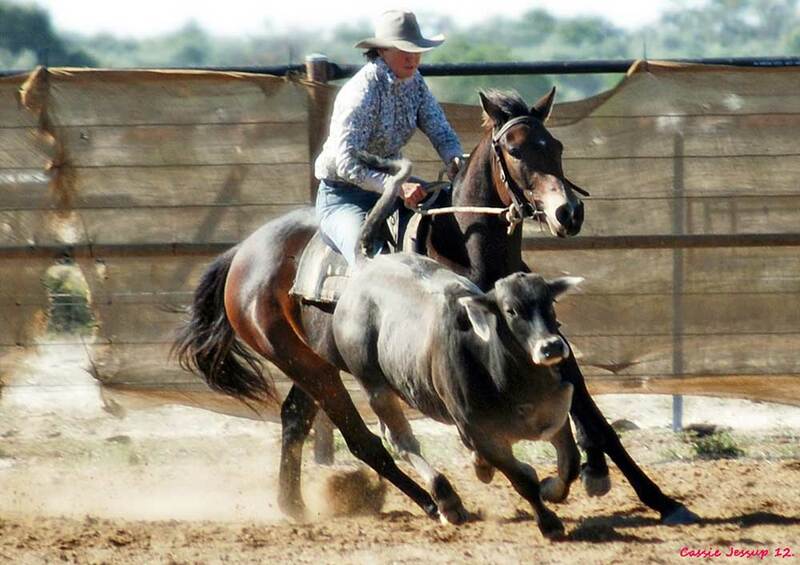 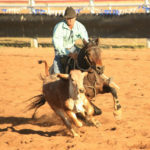 Hughenden Futurity – 1st (88) with Ben Hall. 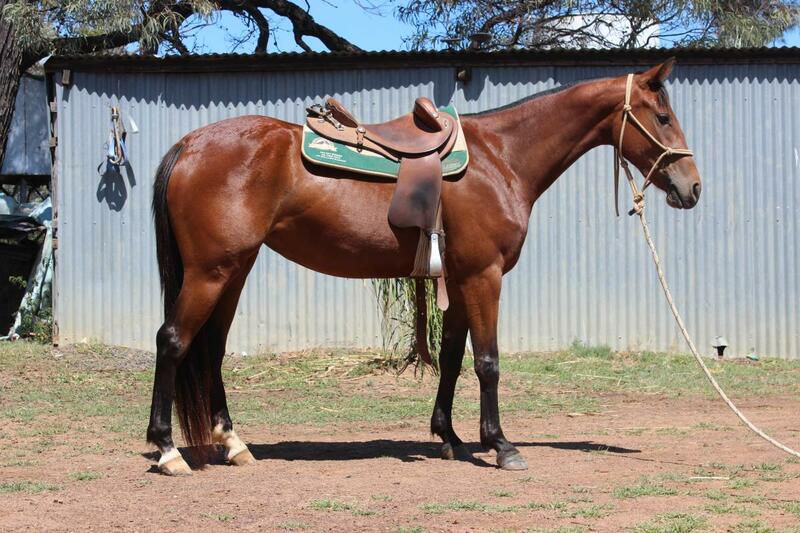 Landmark Classic Horse Sale – SOLD $16,000. 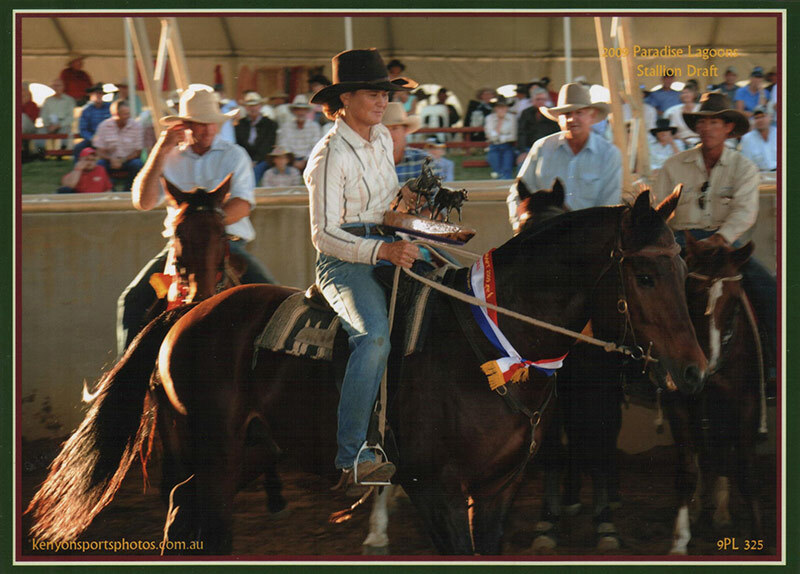 Daleys Rio was ACA Champion Sire of Australia for 3 years in the 80’s for Jaye’s parents, Noel and Dallas Daley. 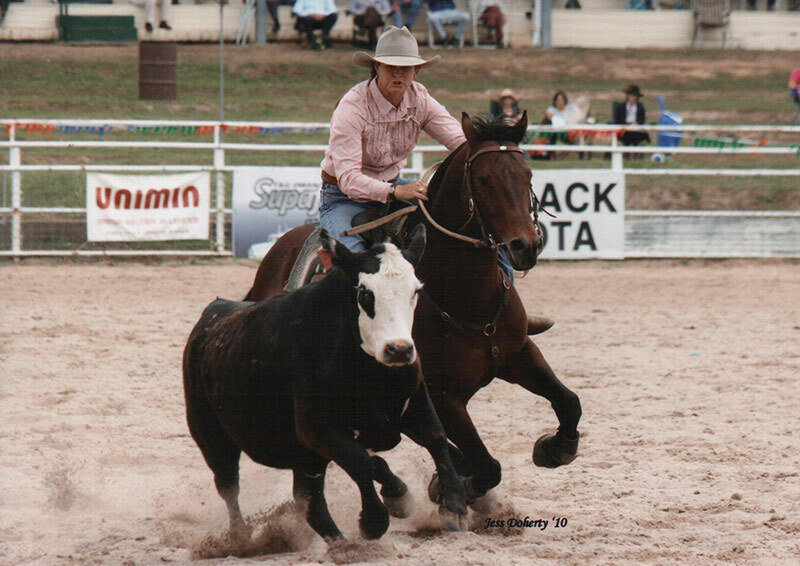 He won over 70 open drafts for Noel, carried Dallas to two ACA Lady rider titles. 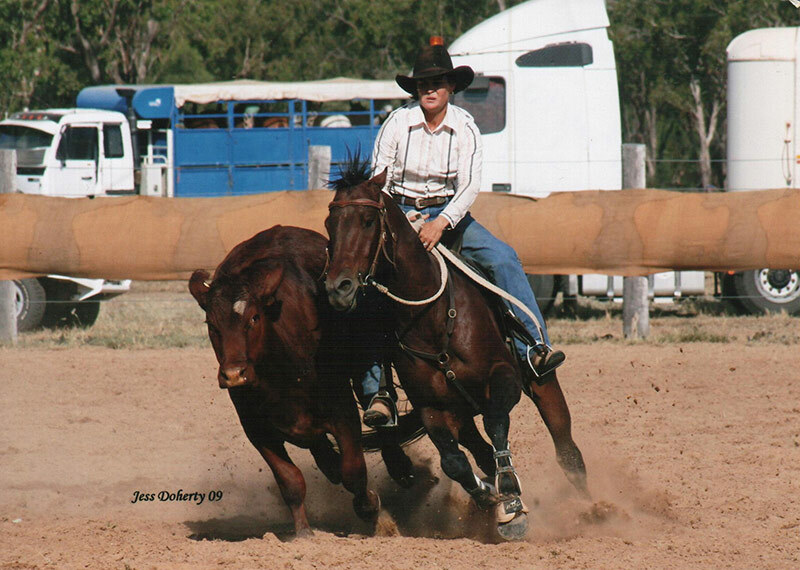 In addition, Jaye and her brother Kelly both won numerous Junior drafts on him and Noel picked up, roped & bulldogged off him, often all in the same weekend. 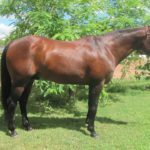 Scenario – Winner of Champion of Champions at Warwick, Aggregate of Cannings and Gold Cup Drafts at Warwick, JHS Barnes trophy at Warwick as well as multiple Open drafts. 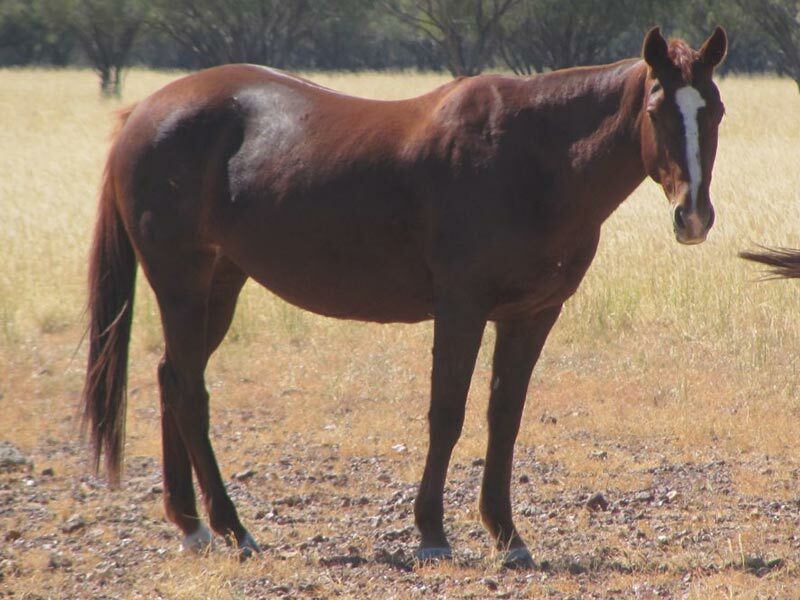 Remenisce – Novice mare, retired injured. 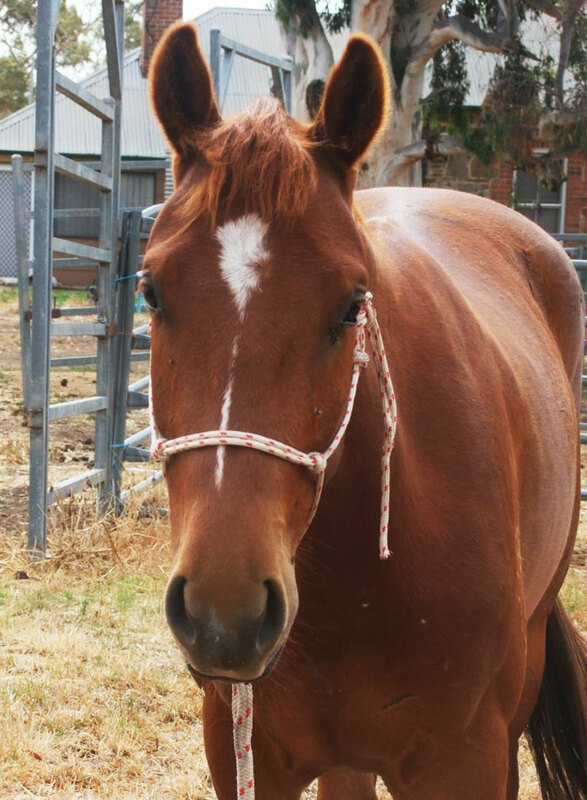 Daley’s Playmate is a beautifully natured mare. 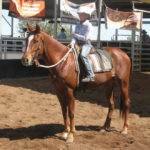 Jaye won and placed in Maiden and Junior Drafts on her before she was prematurely retired to stud when Jaye went to boarding school. 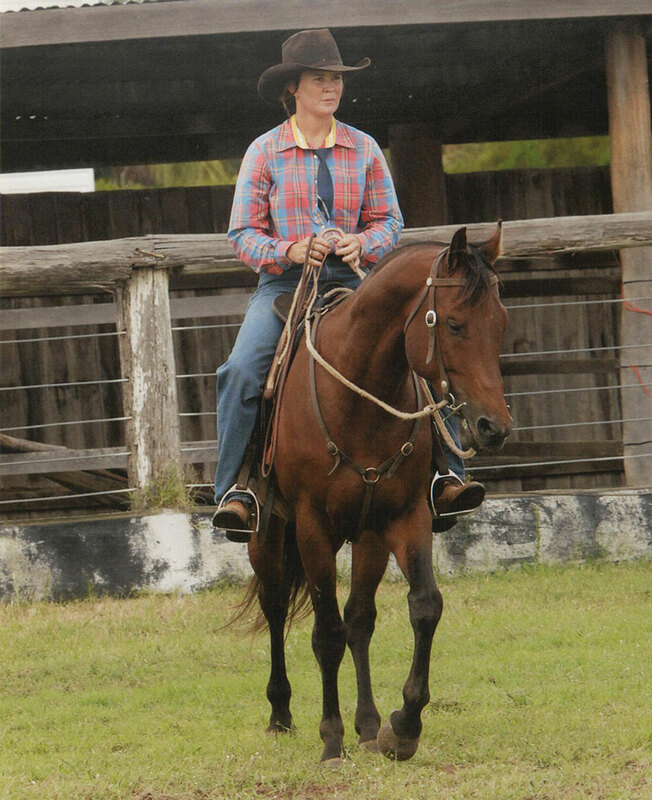 She later returned to work to teach Madison and Wyatt to ride! 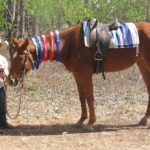 Open Mare and ACA Champion Rookie Horse. 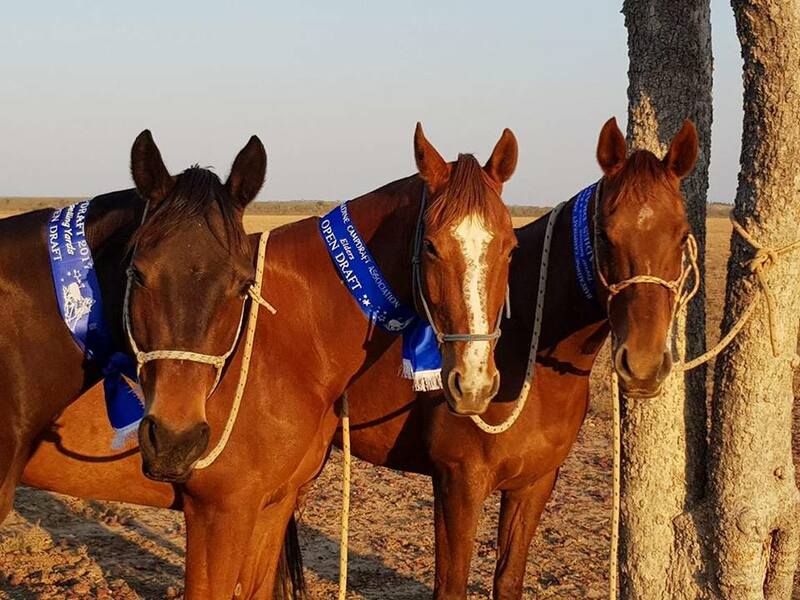 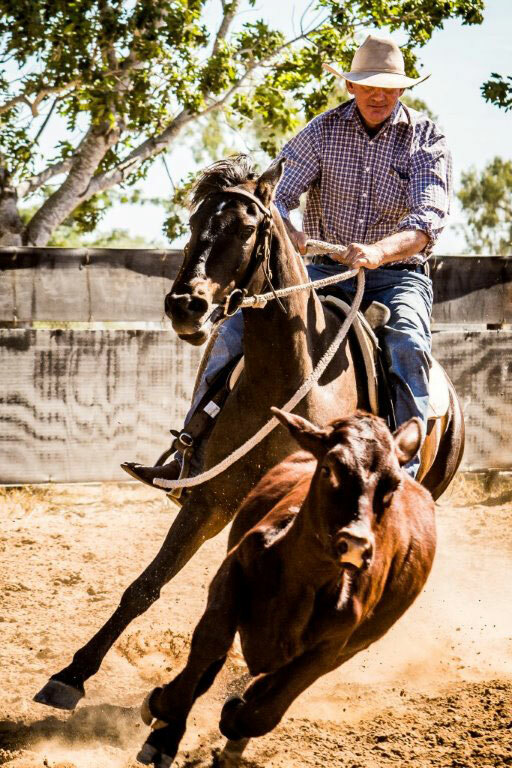 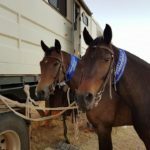 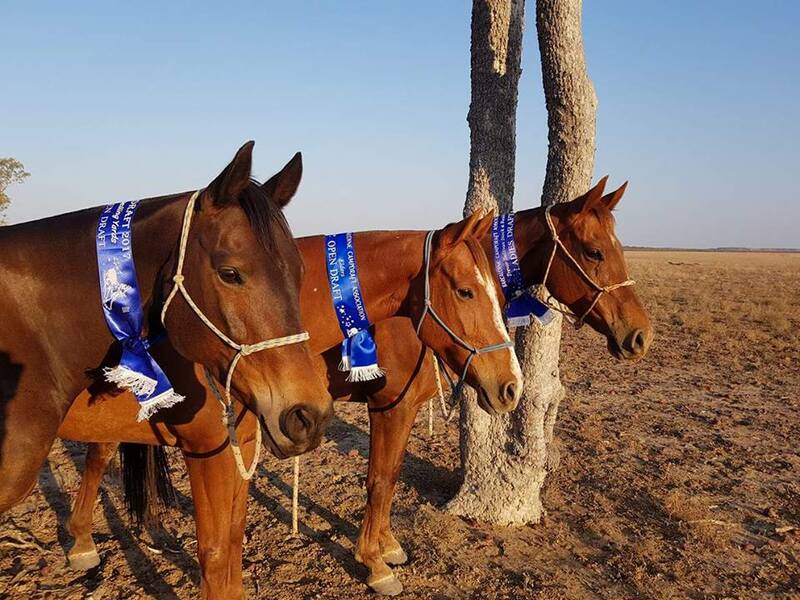 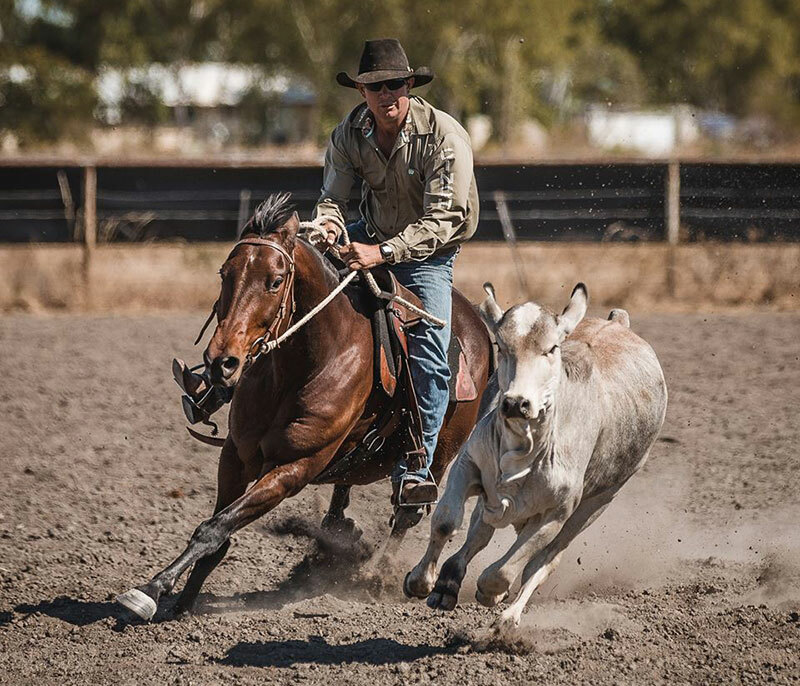 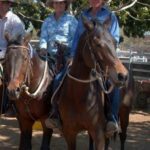 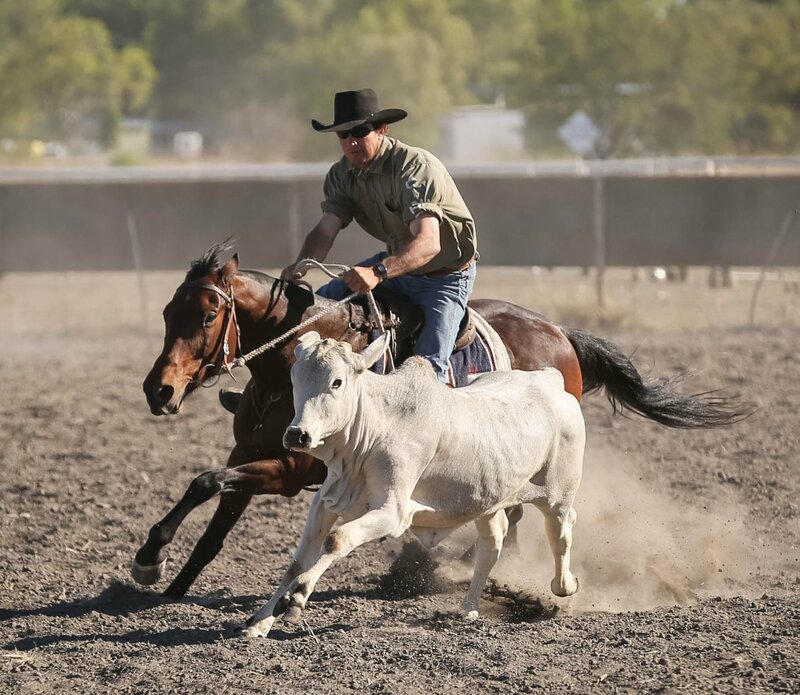 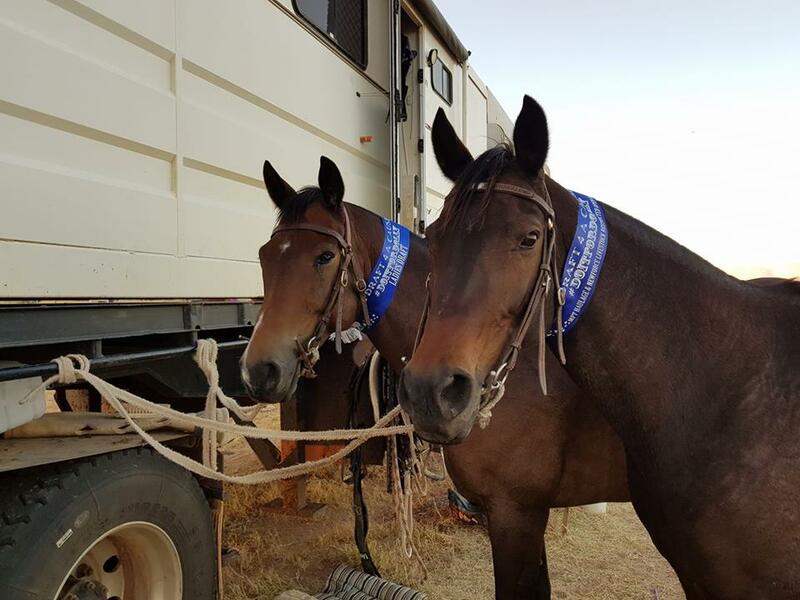 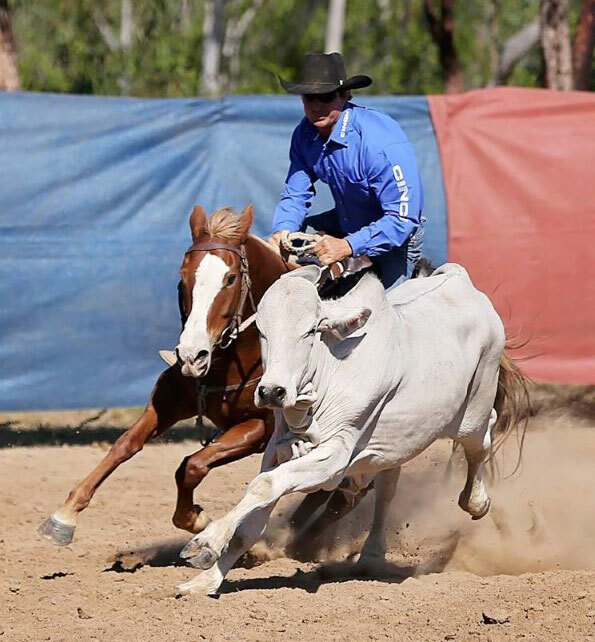 Ben & Jaye now have about 12 broodmares and sell some of the foals privately as yearlings and others through the Toomba Sale and Landmark, Tamworth. 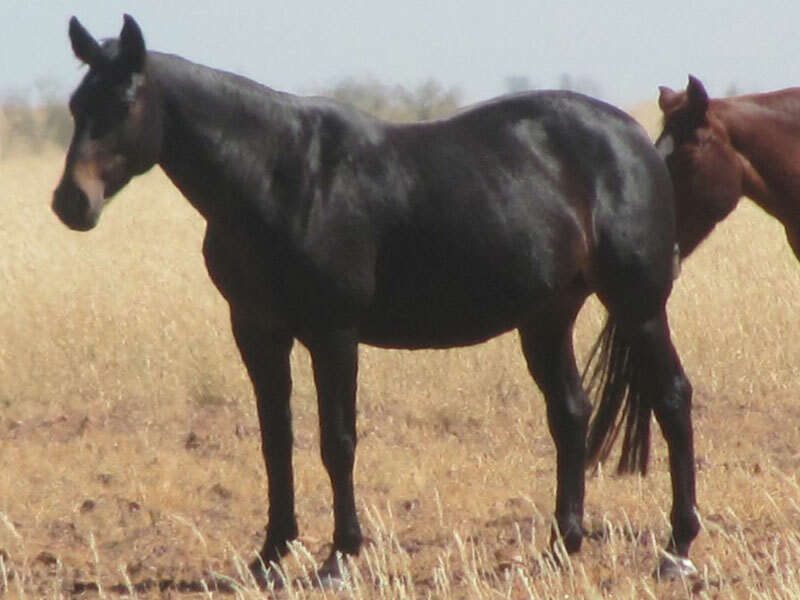 Each year, they retain one or two fillies for their own stud purposes. 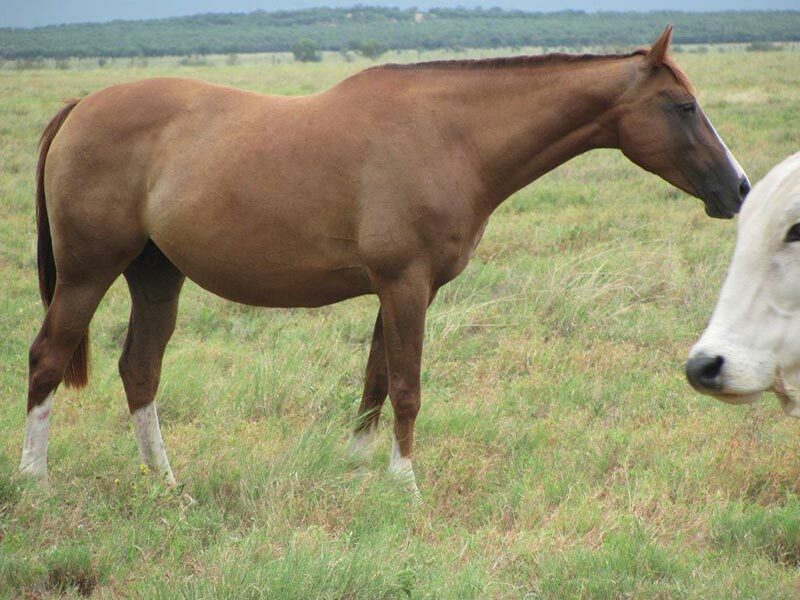 Outside mare care is a high priority. 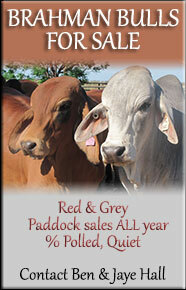 They graze on Flinders and Mitchell grass, are supplemented when required and hand served. 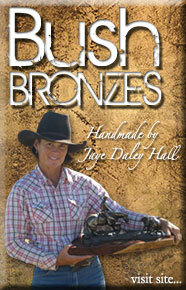 Jaye Hall says, “We like to look after them like they are our own”. 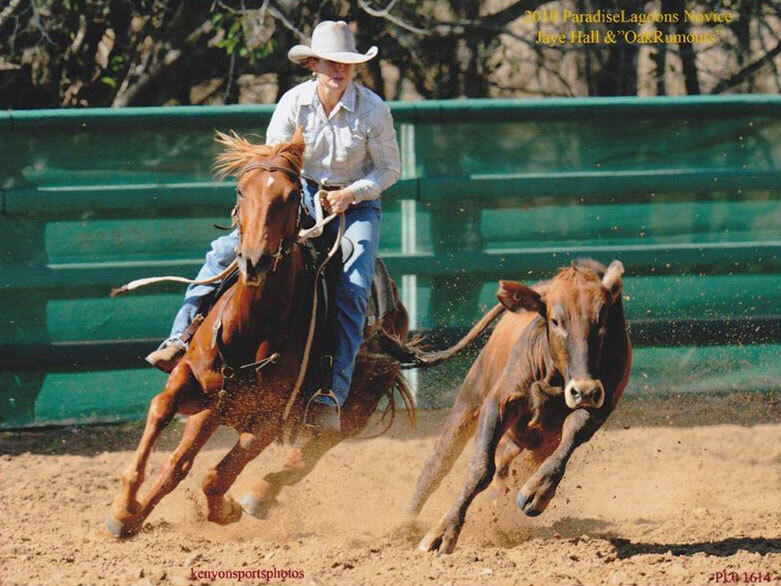 – By Daleys Chickasha Oakie.